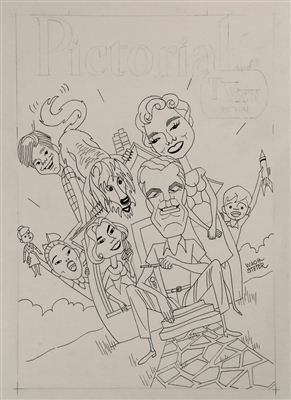 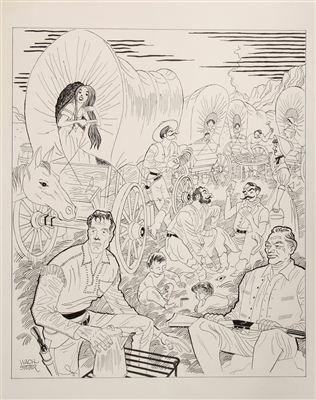 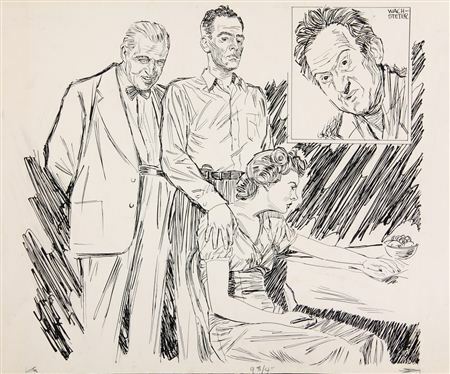 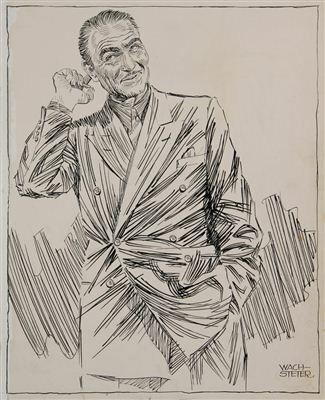 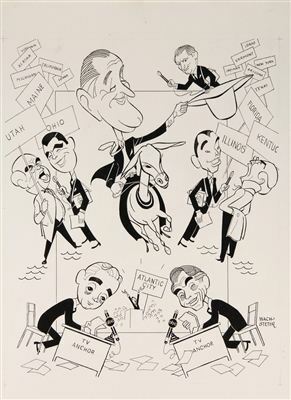 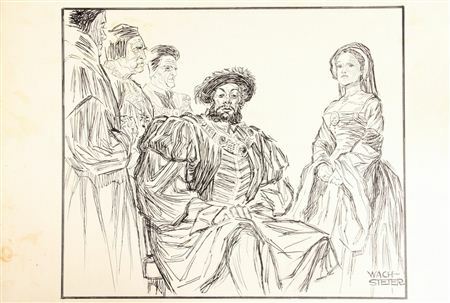 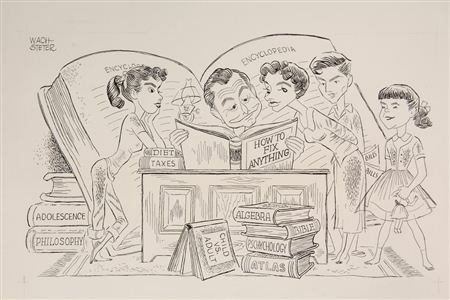 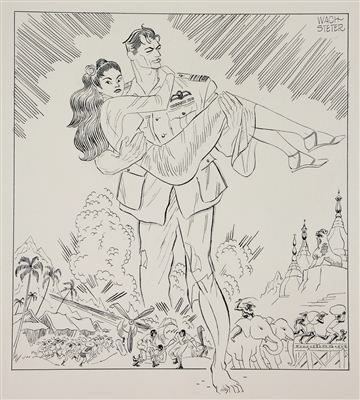 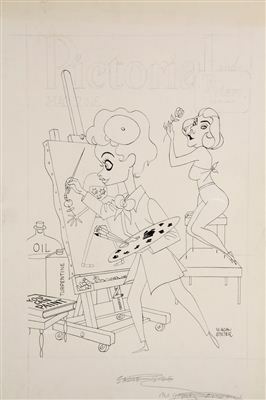 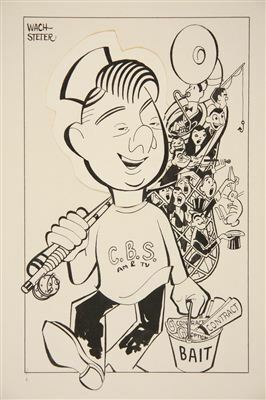 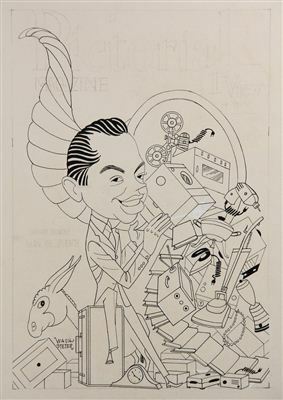 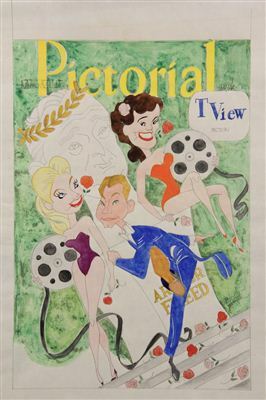 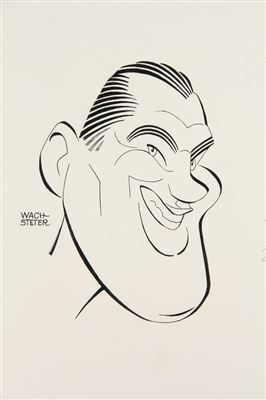 From the dawn of TV, from 1937 to 1967, George Wachsteter (1911 - 2004) was a prominent in-demand American illustrator and caricaturist. 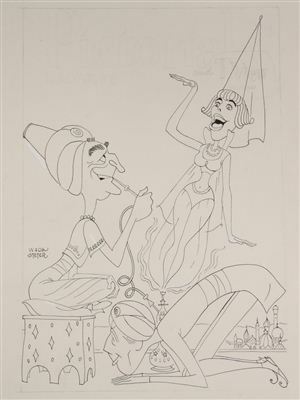 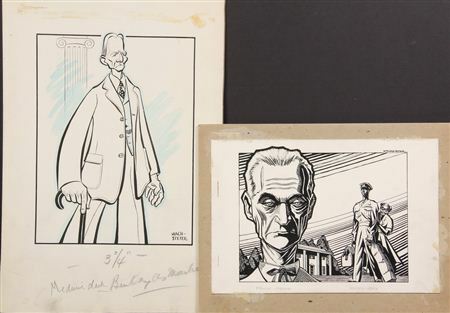 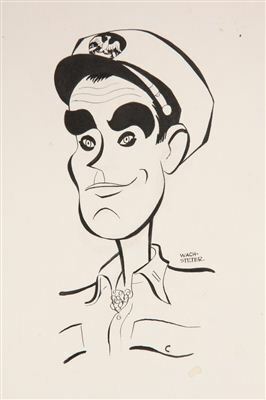 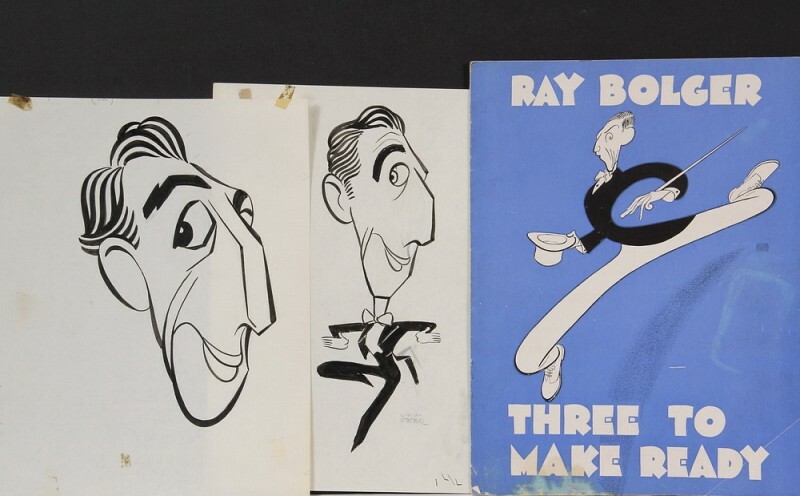 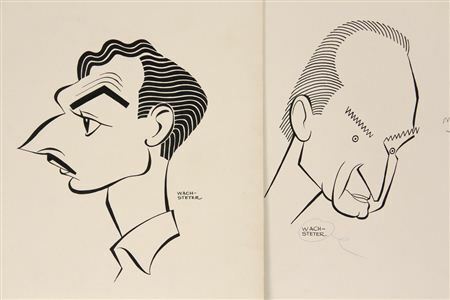 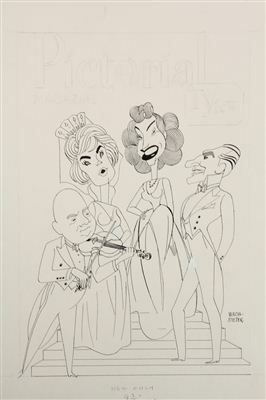 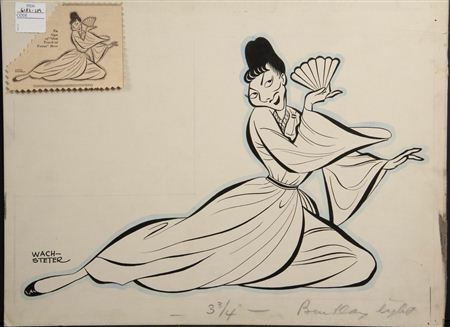 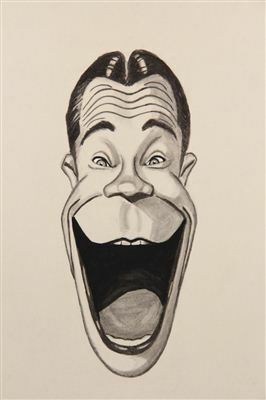 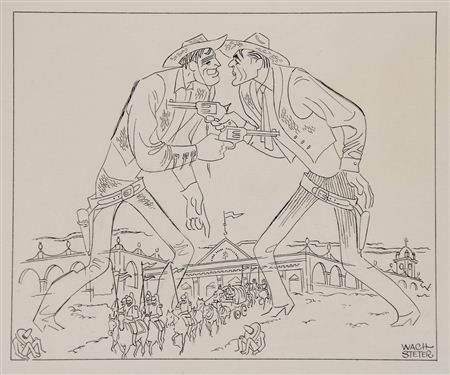 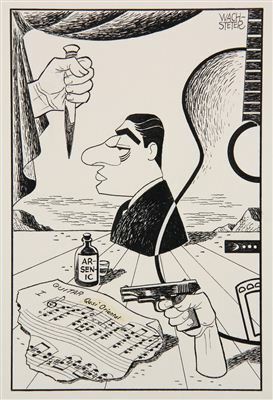 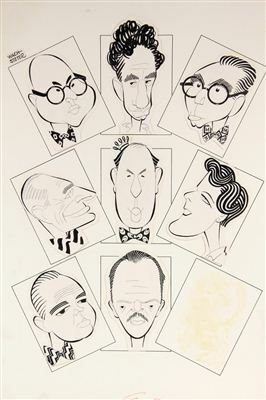 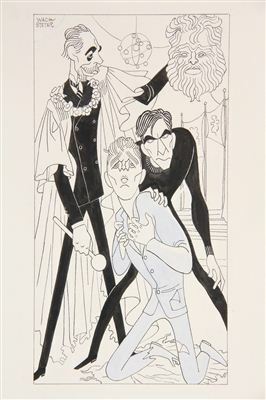 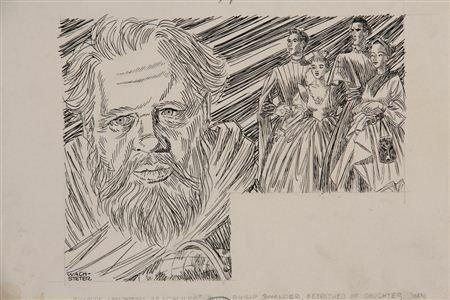 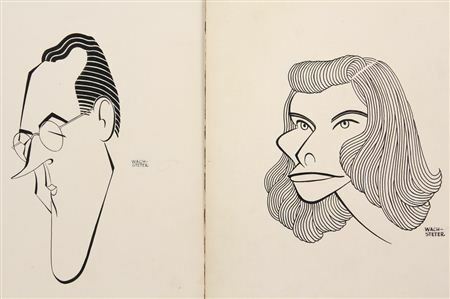 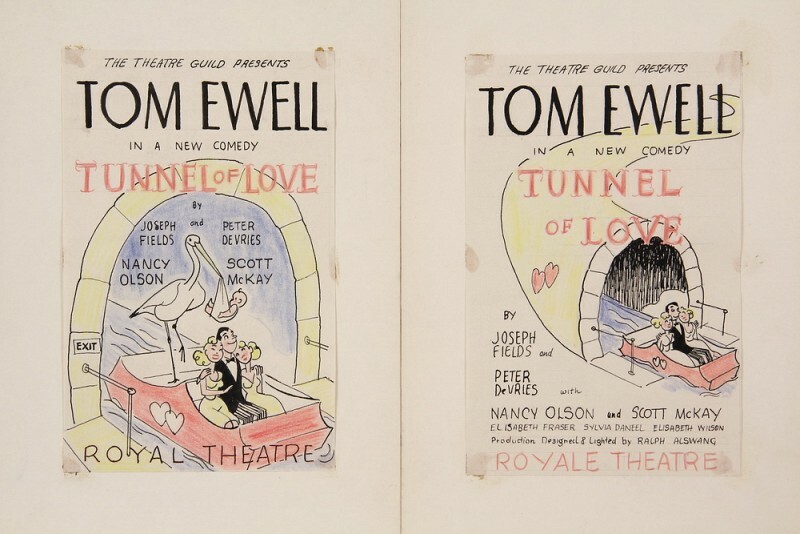 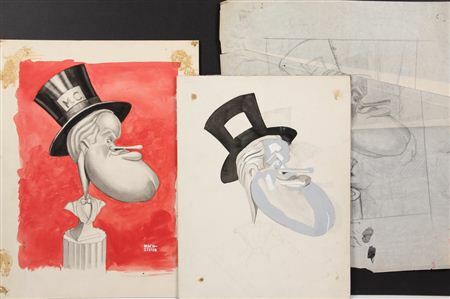 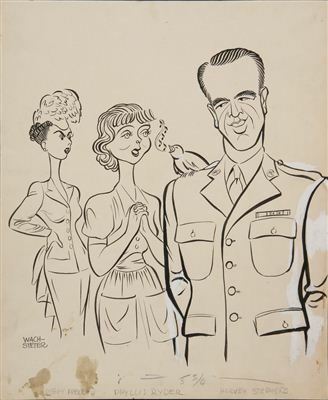 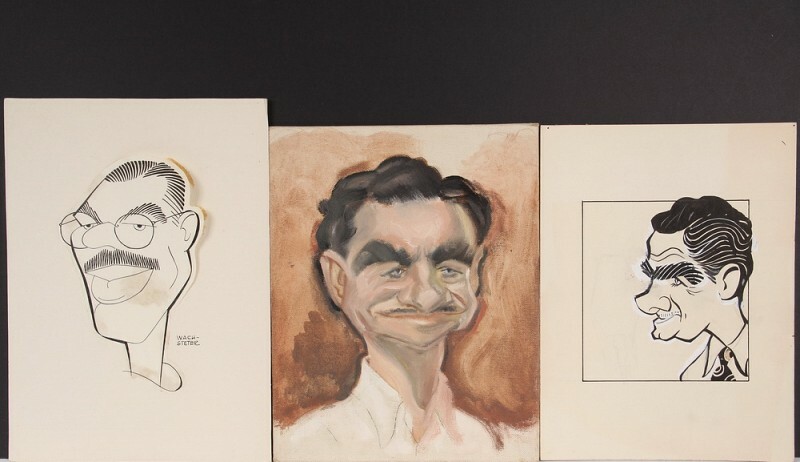 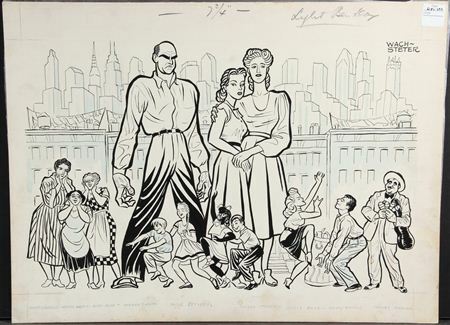 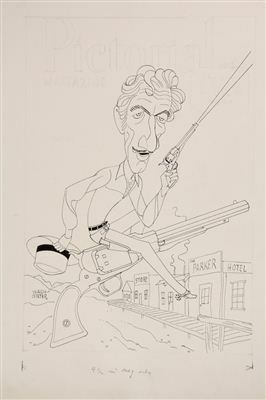 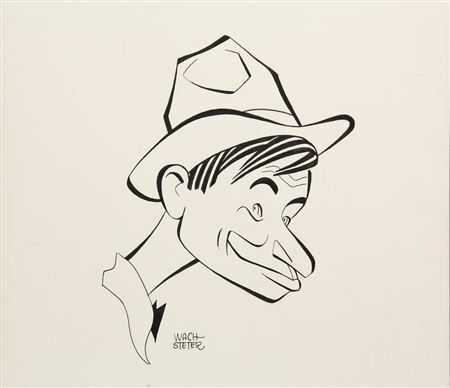 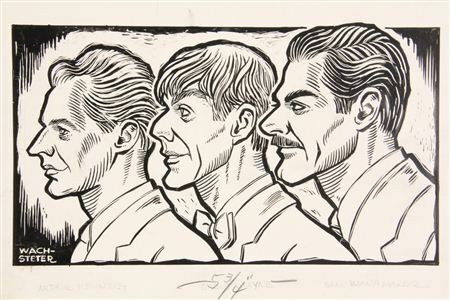 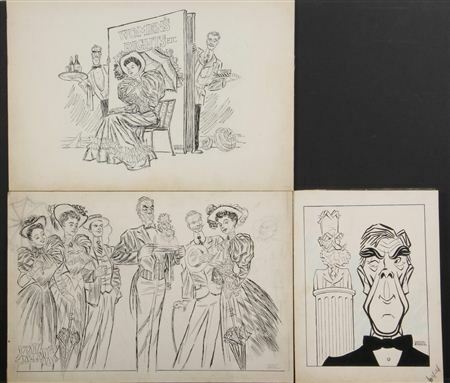 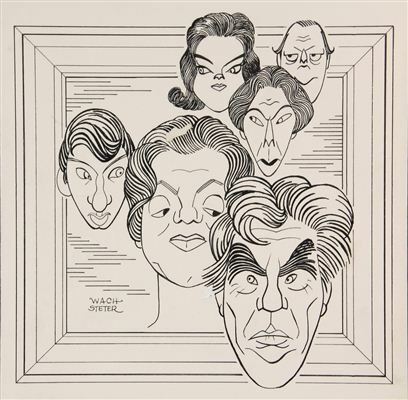 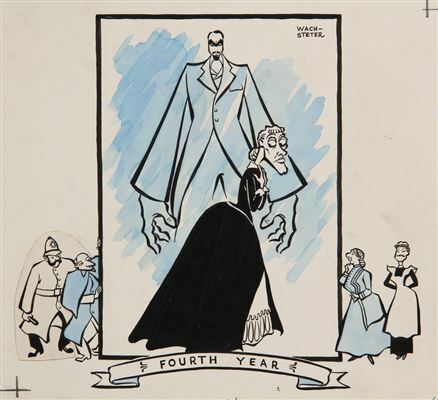 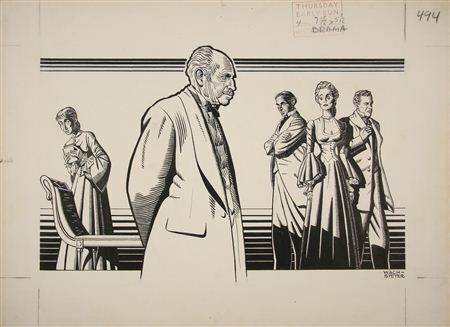 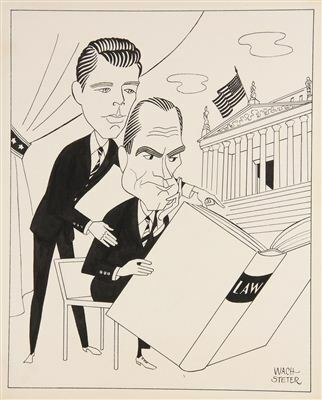 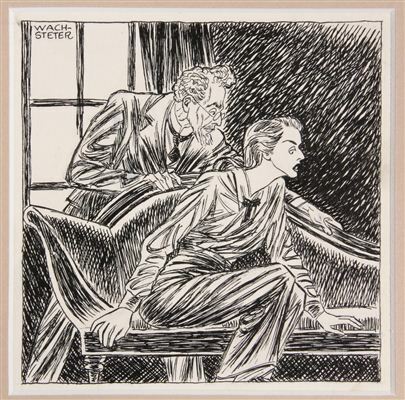 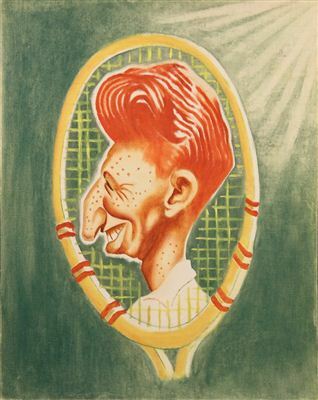 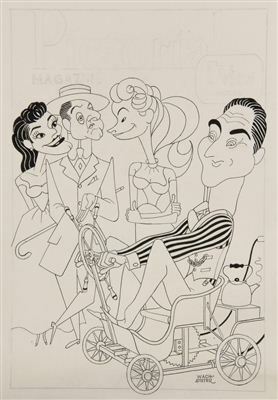 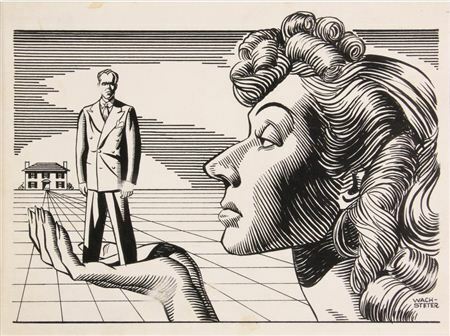 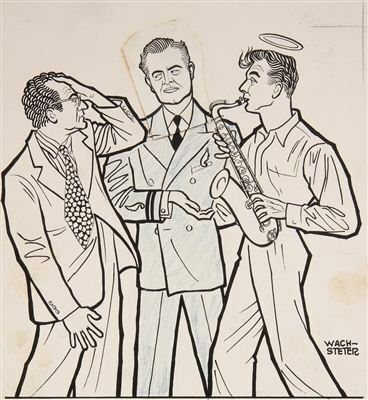 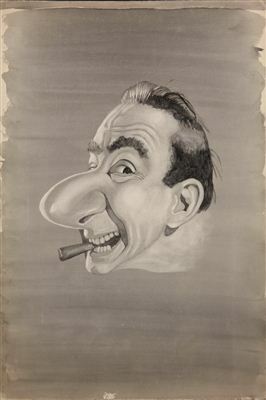 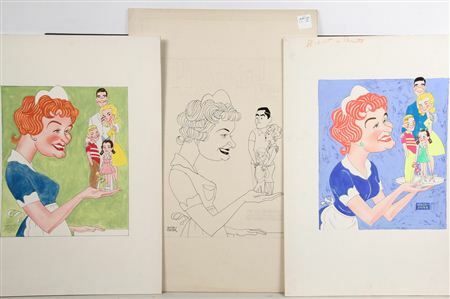 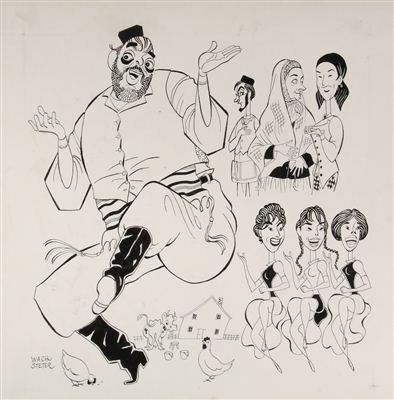 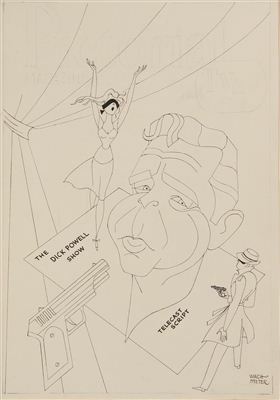 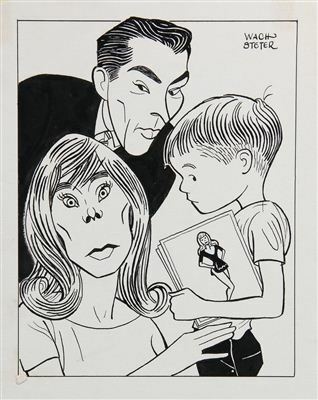 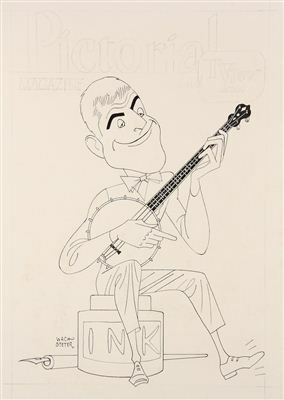 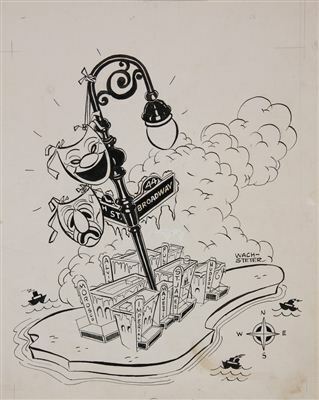 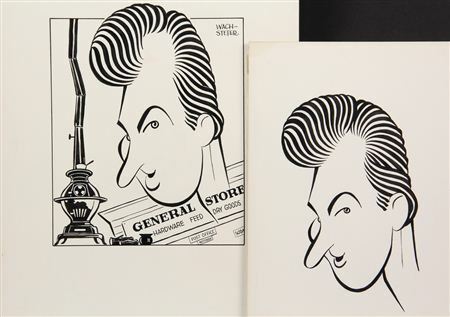 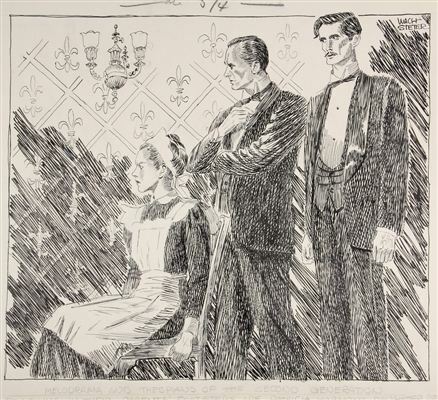 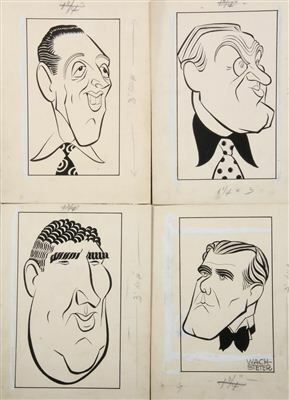 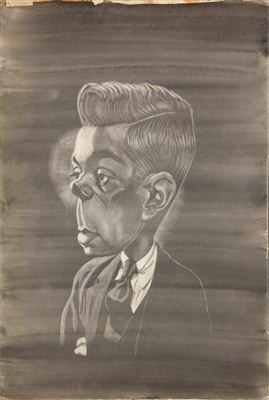 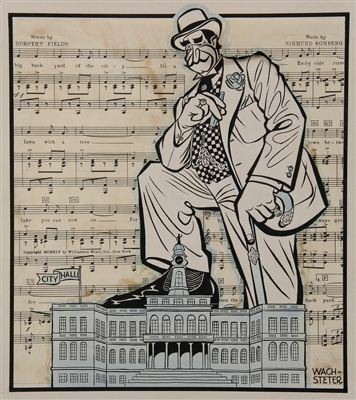 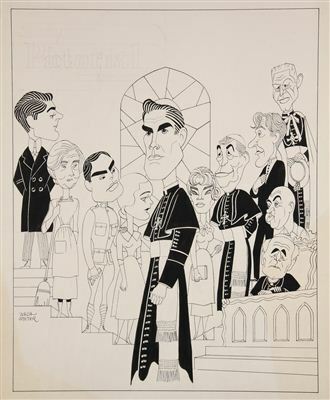 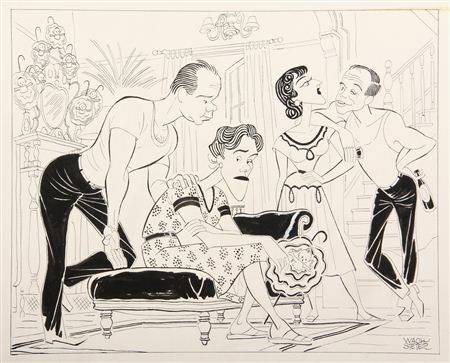 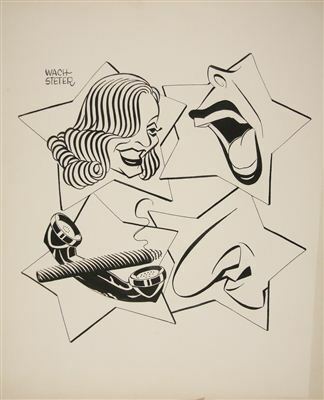 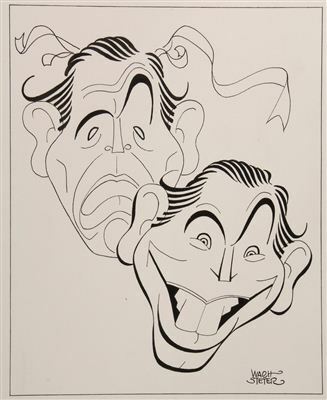 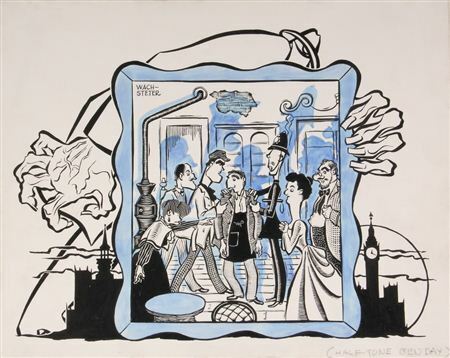 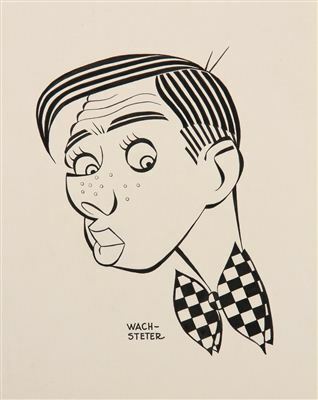 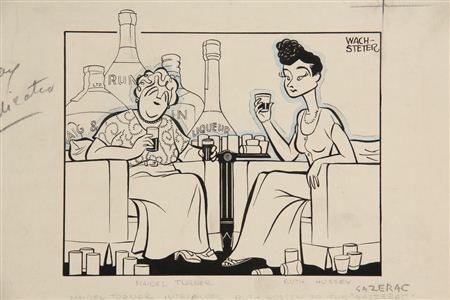 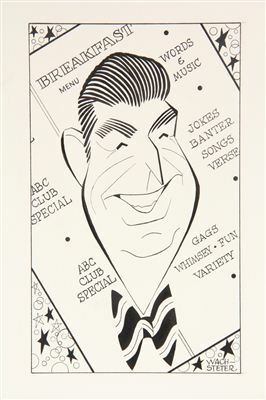 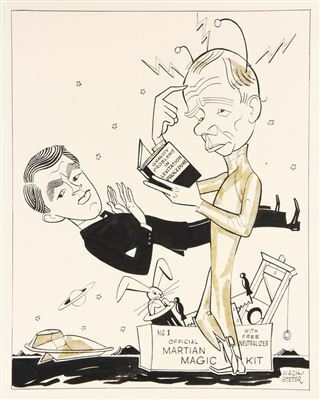 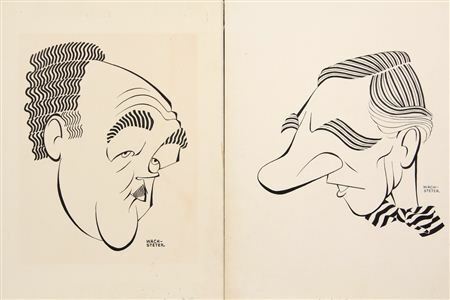 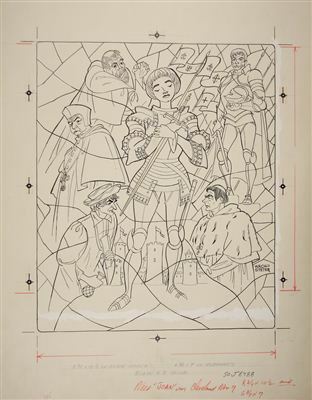 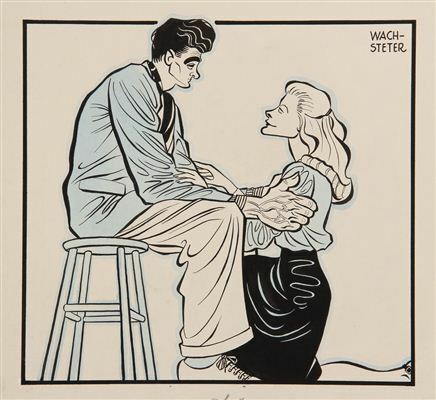 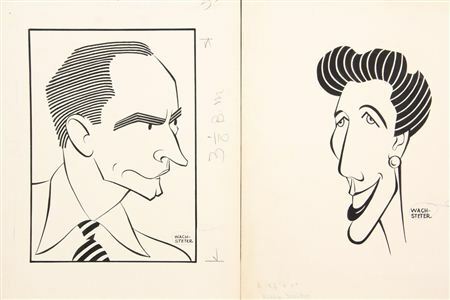 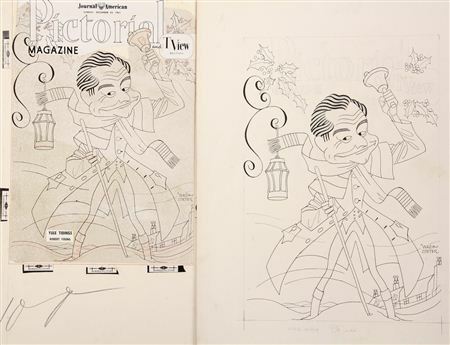 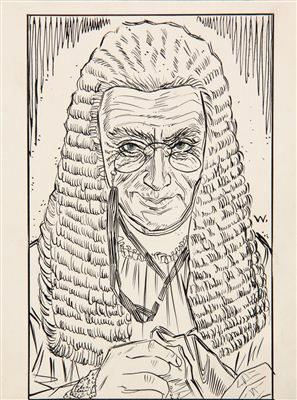 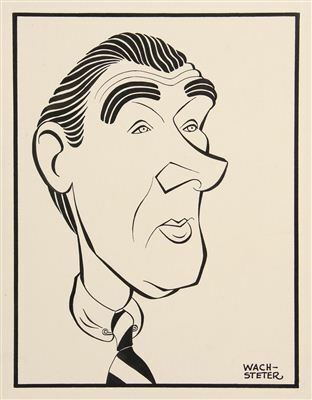 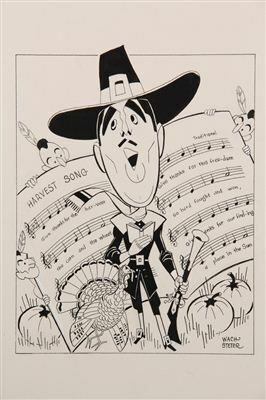 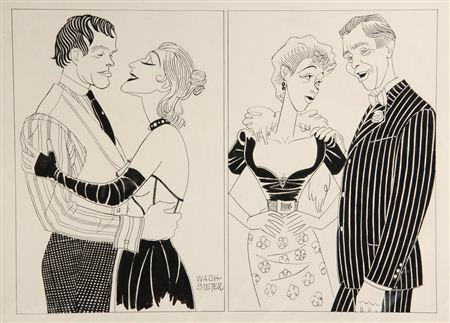 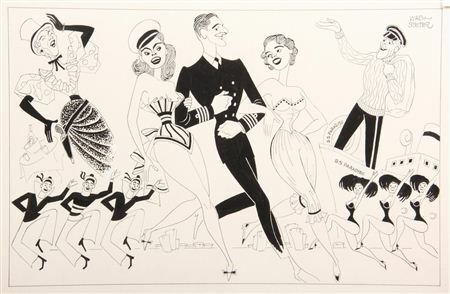 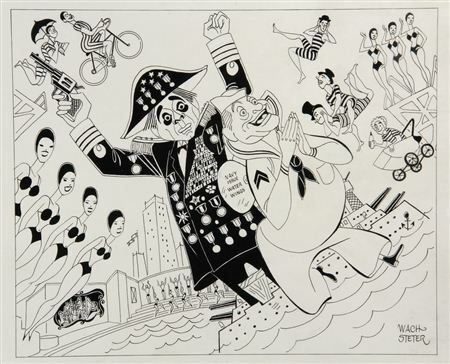 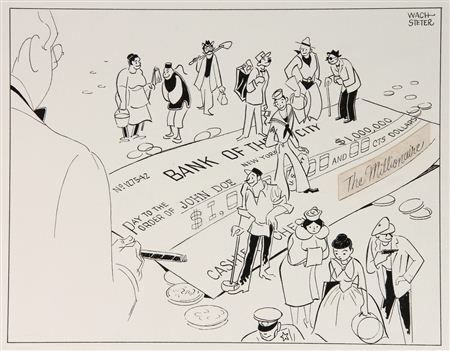 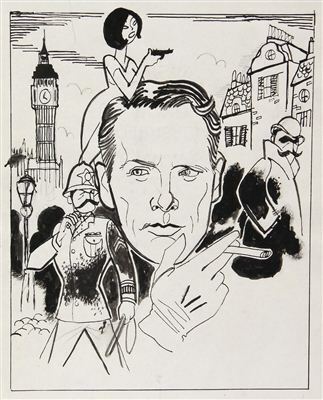 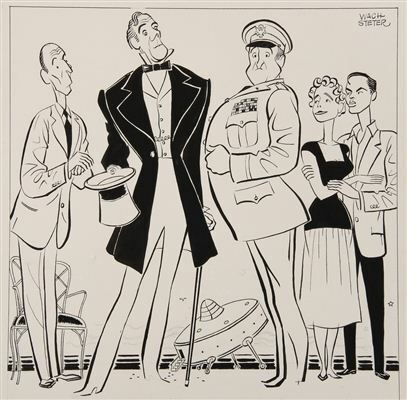 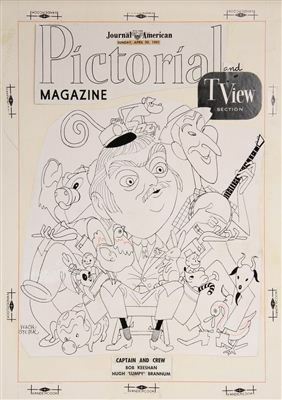 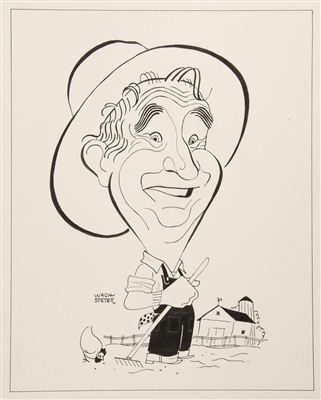 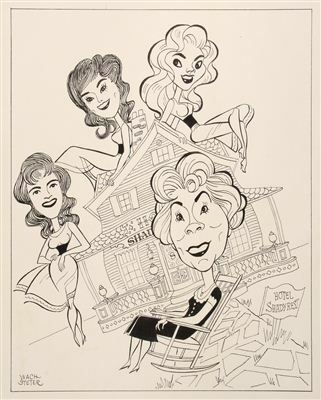 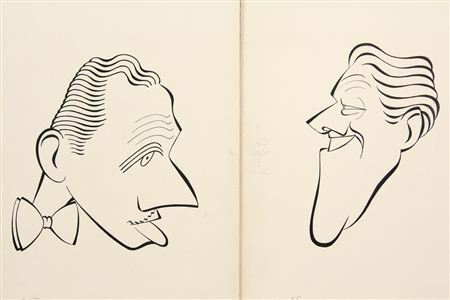 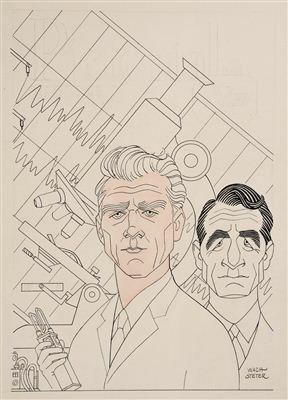 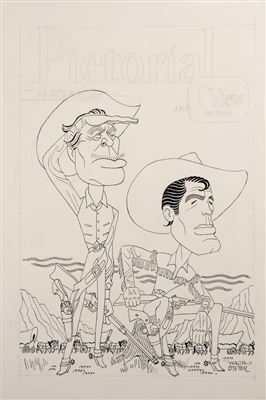 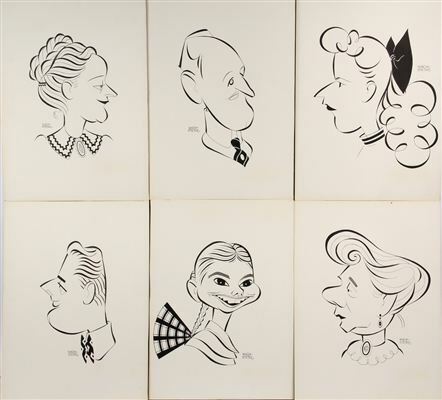 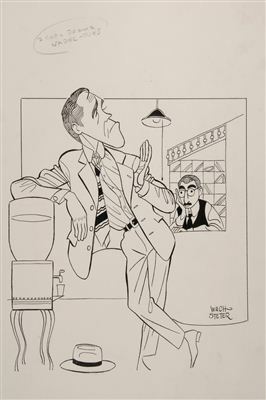 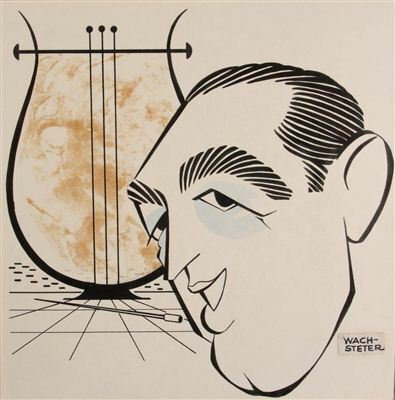 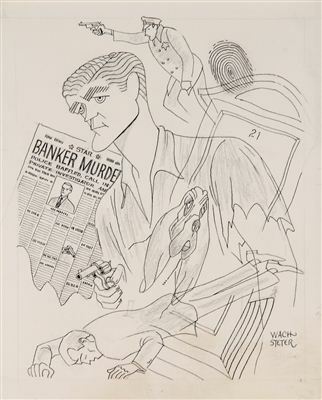 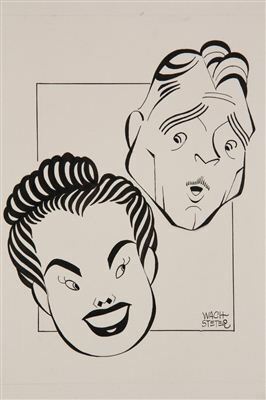 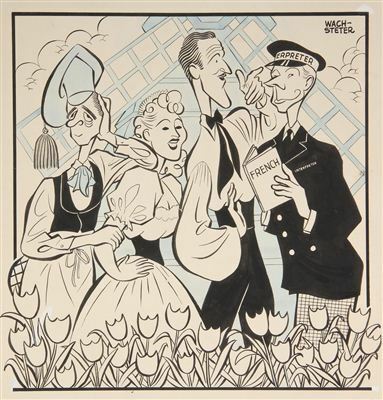 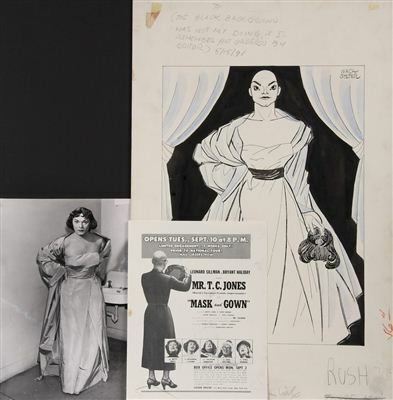 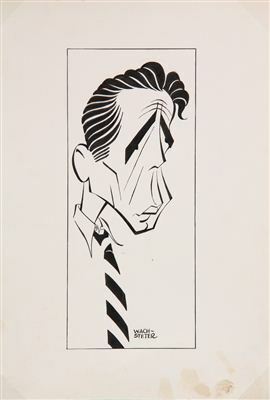 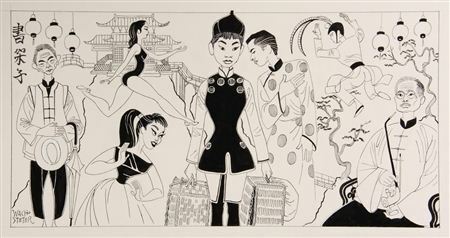 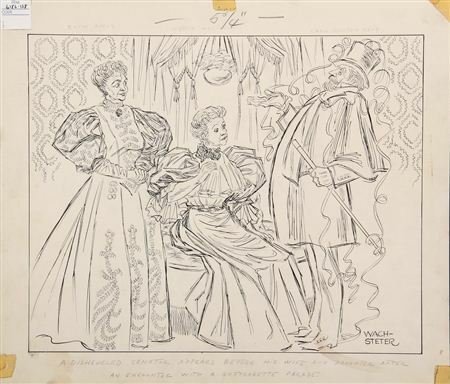 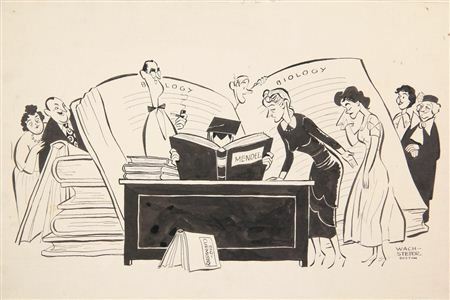 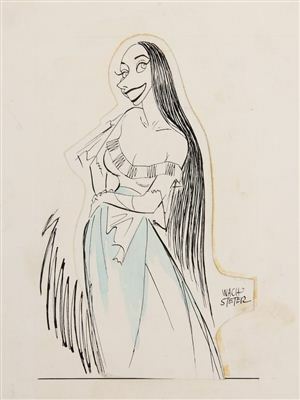 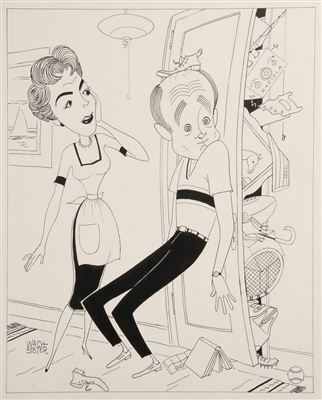 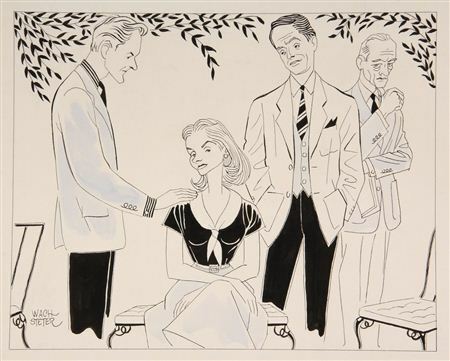 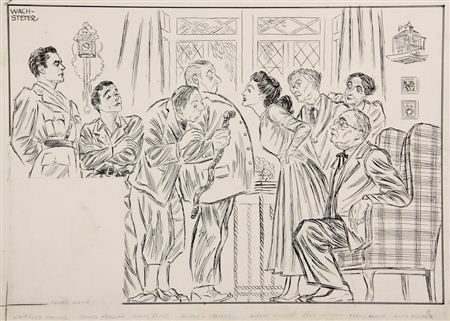 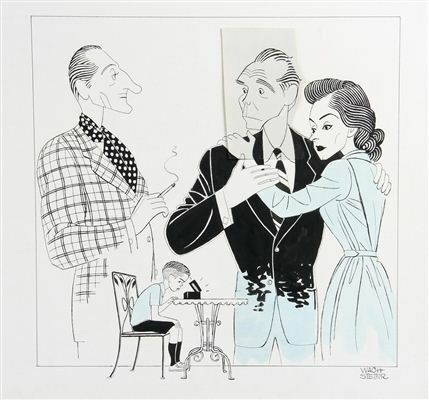 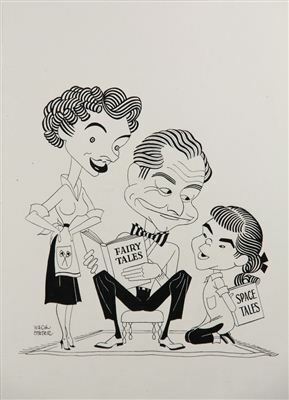 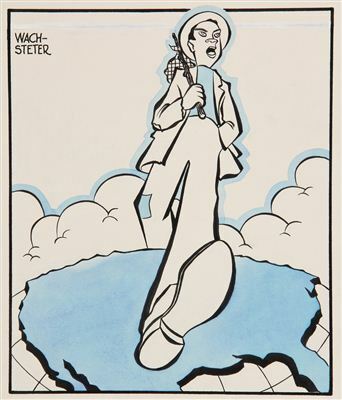 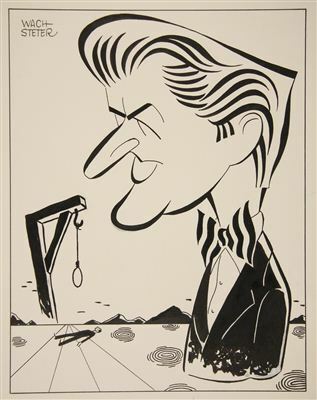 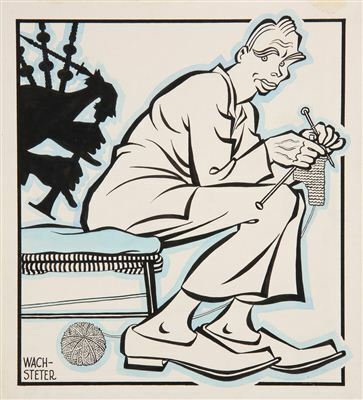 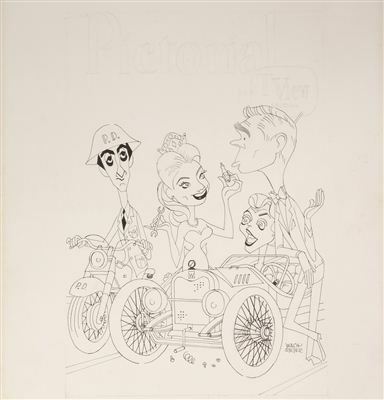 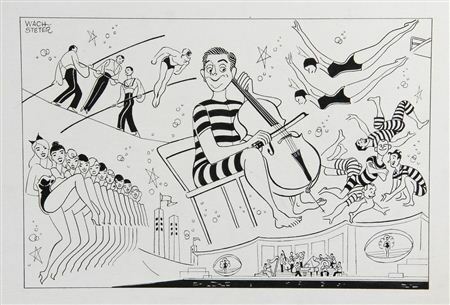 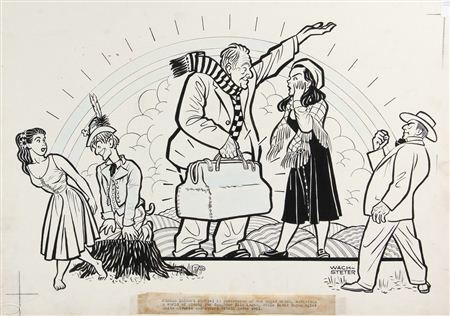 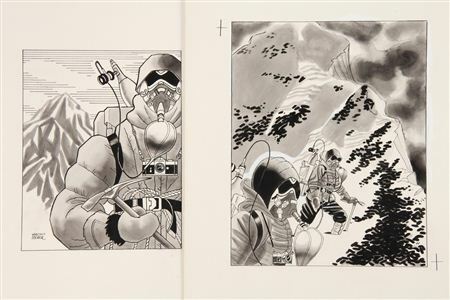 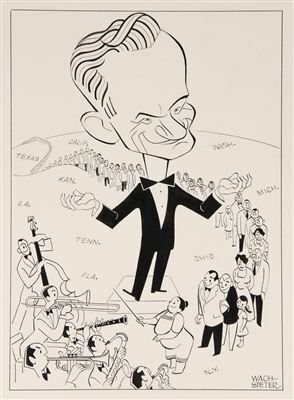 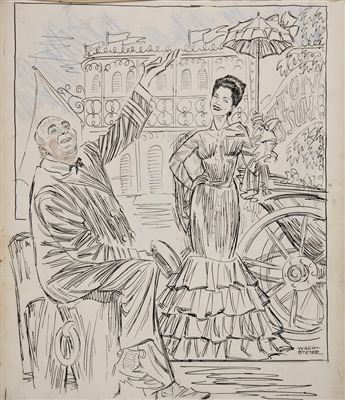 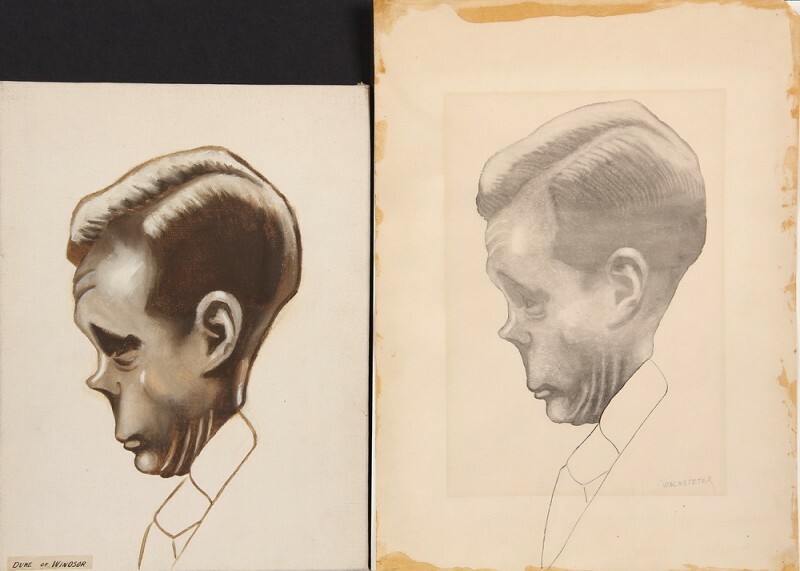 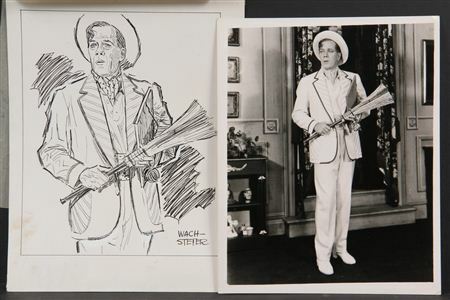 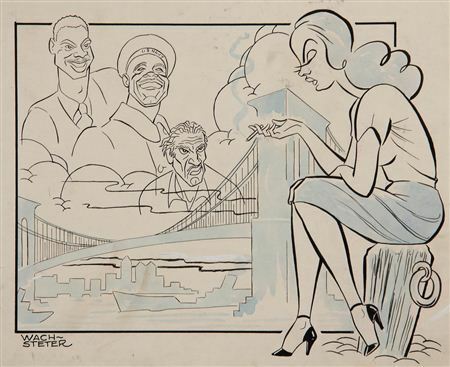 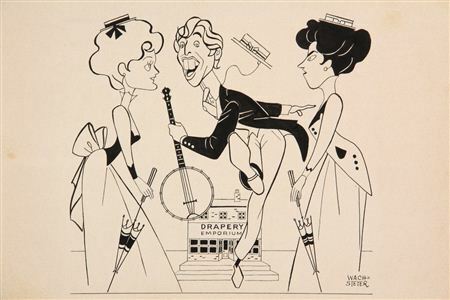 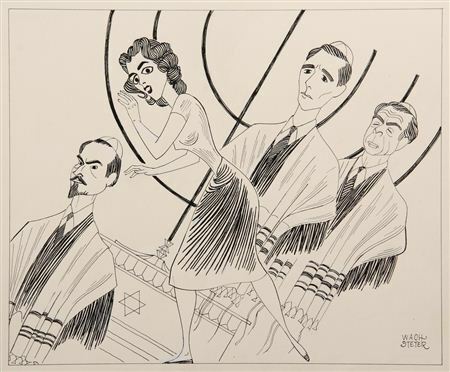 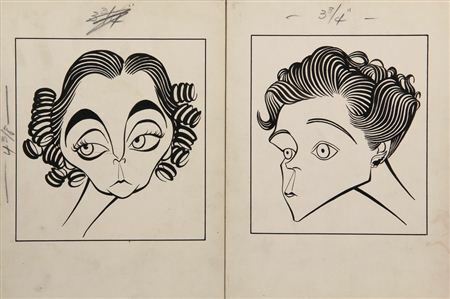 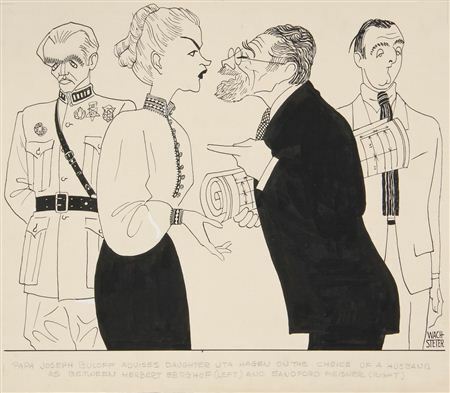 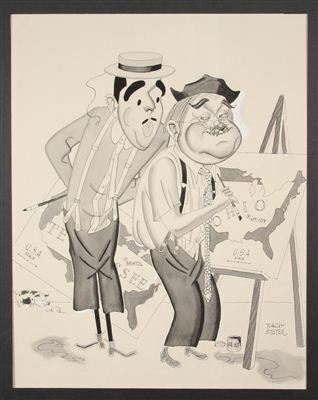 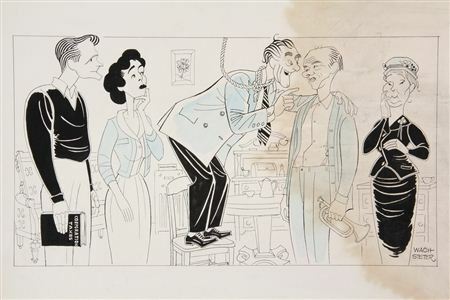 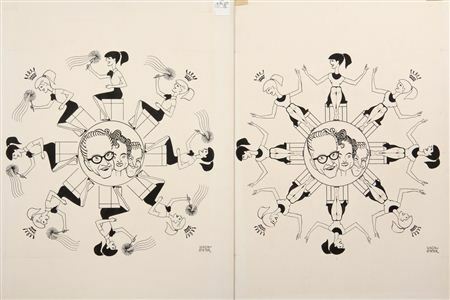 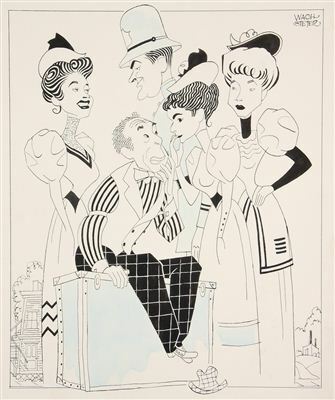 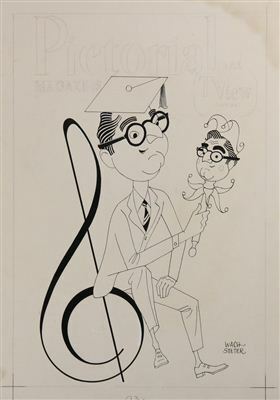 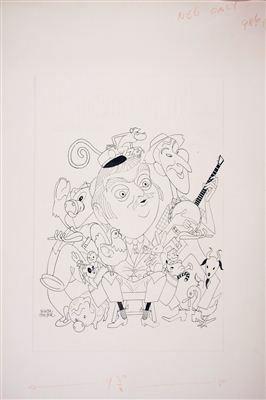 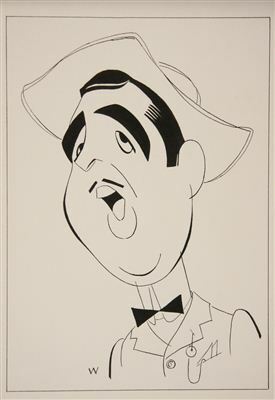 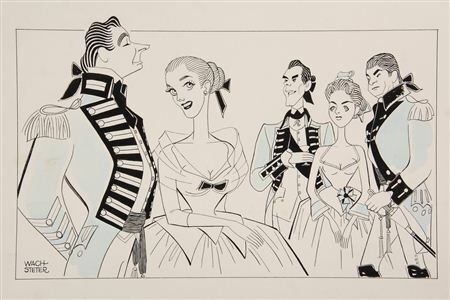 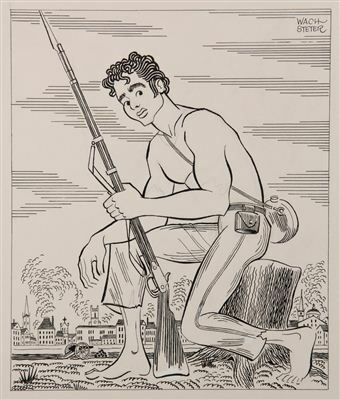 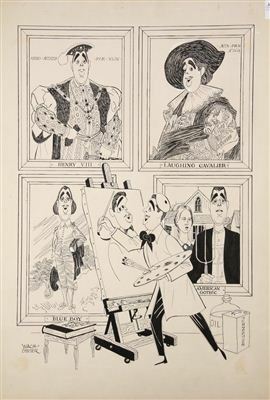 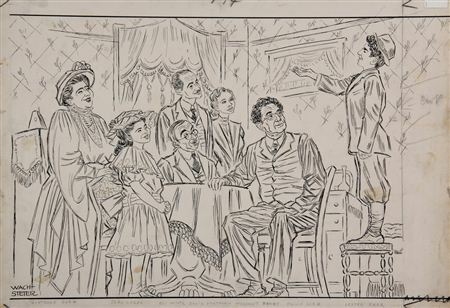 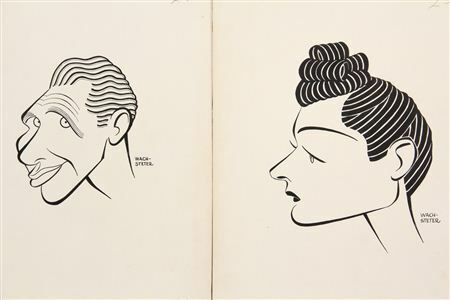 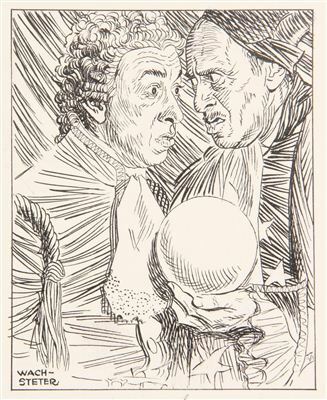 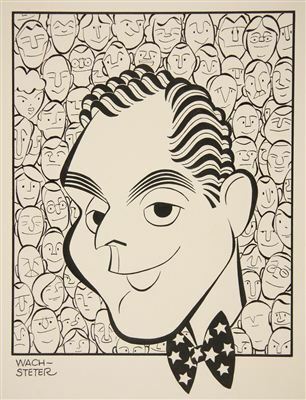 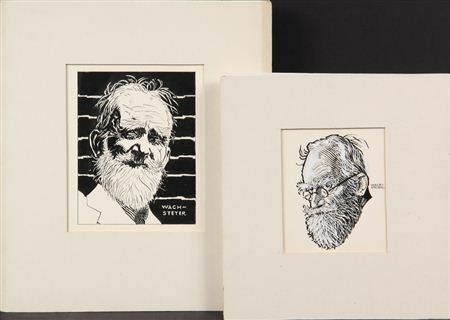 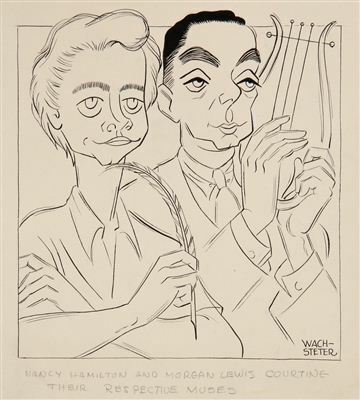 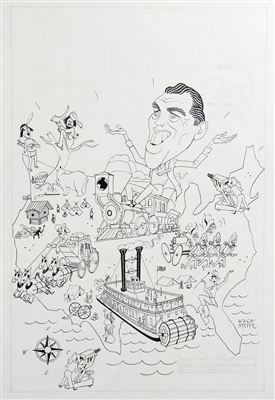 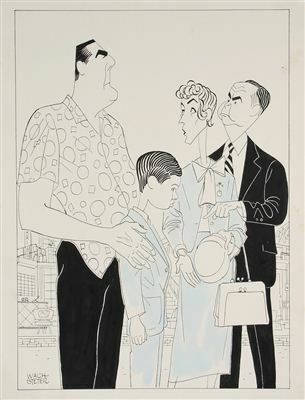 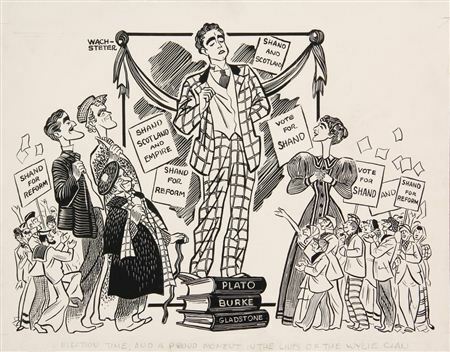 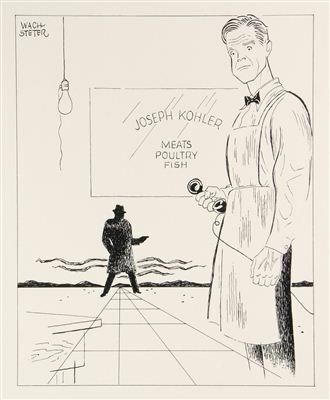 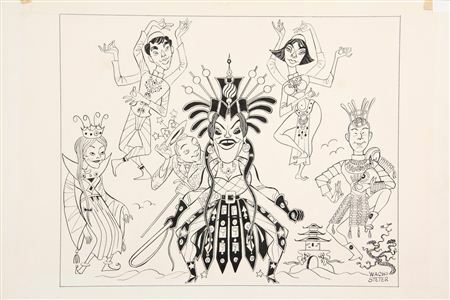 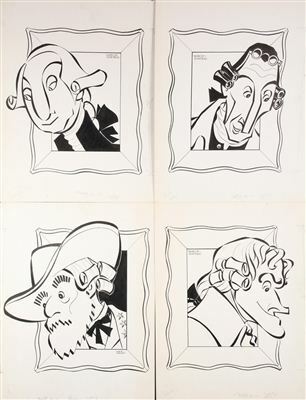 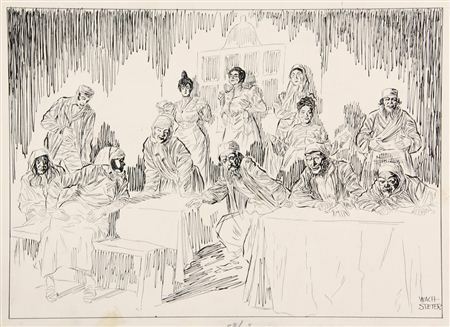 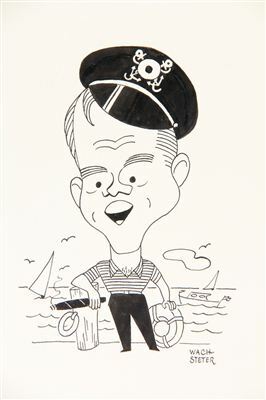 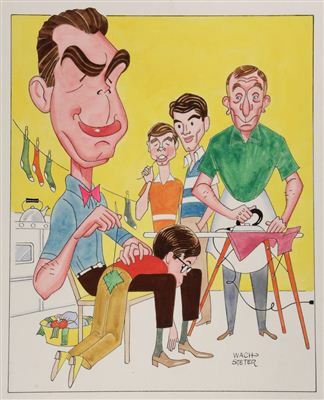 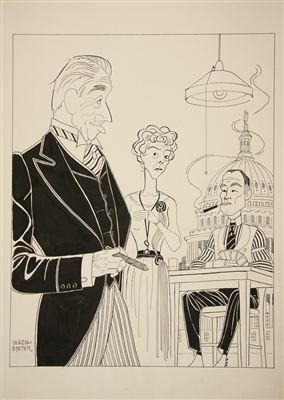 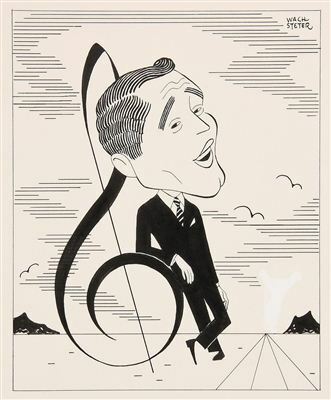 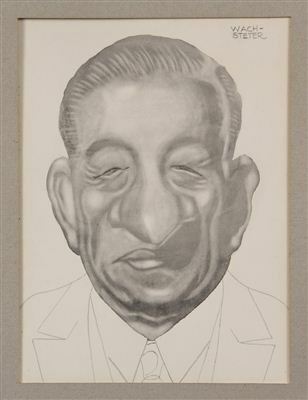 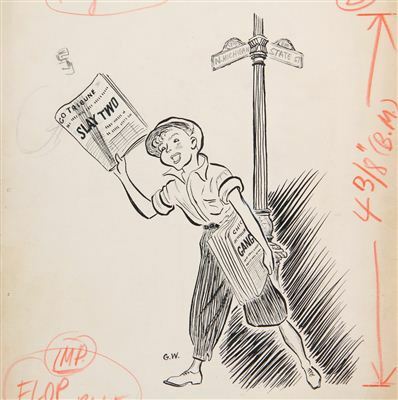 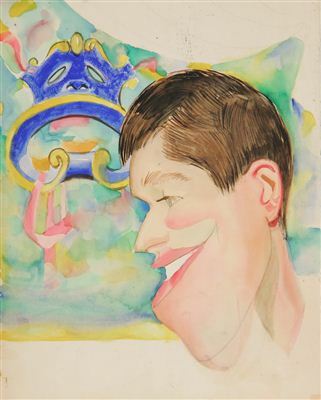 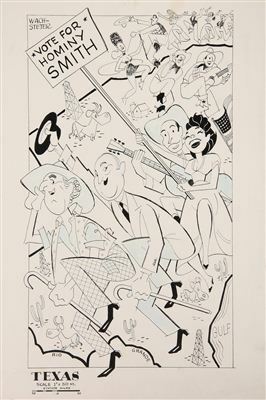 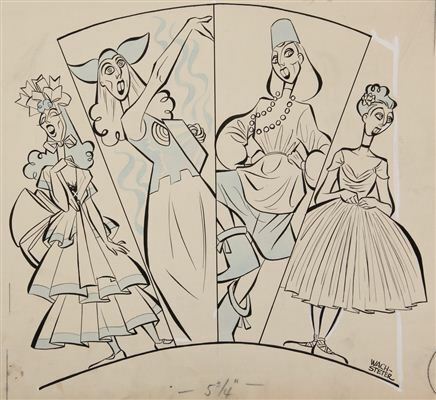 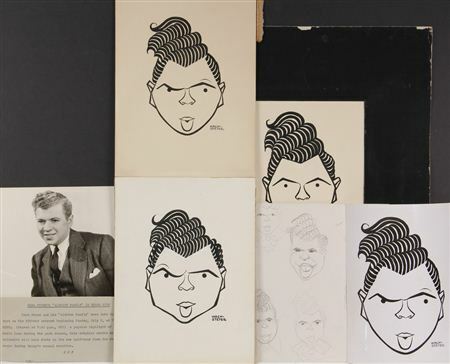 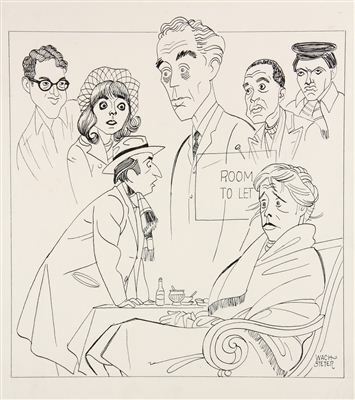 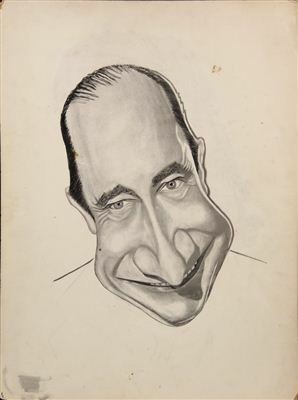 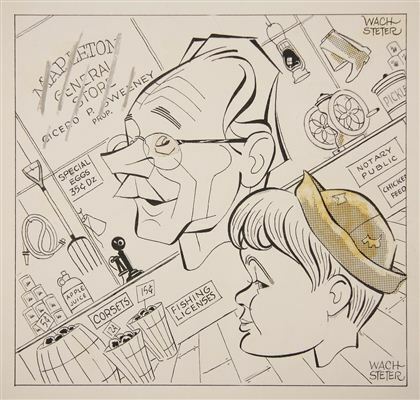 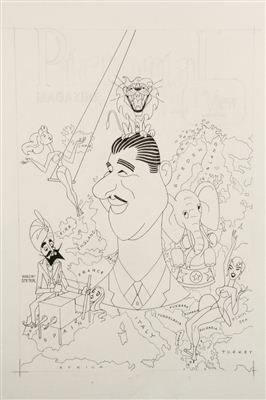 Next to Al Hirschfeld, Wachsteter was one of the most visible American theatrical caricaturists at the time. 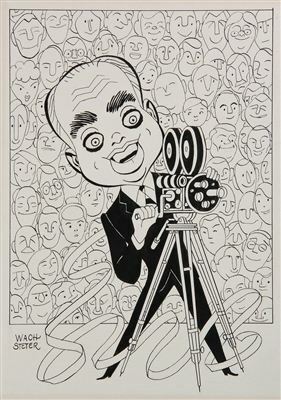 He produced theatrical, radio, television and film related images for the 3 major radio and television networks, NBC, CBS and ABC. 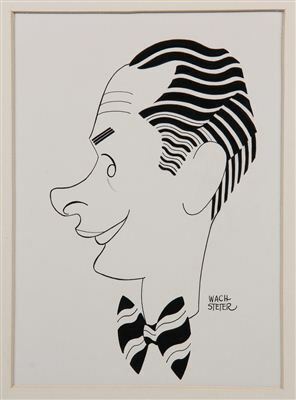 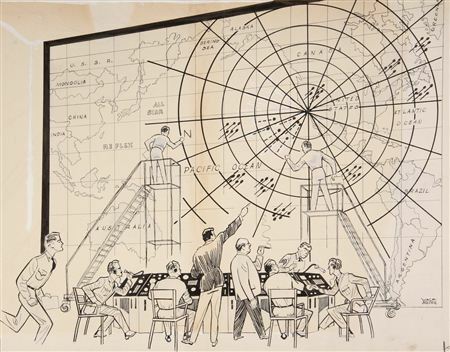 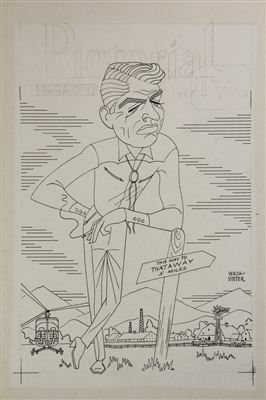 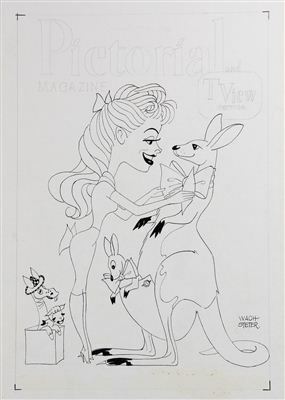 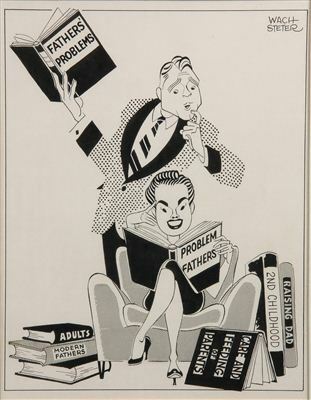 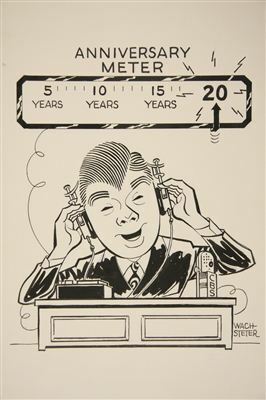 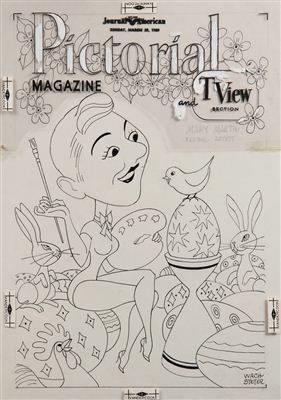 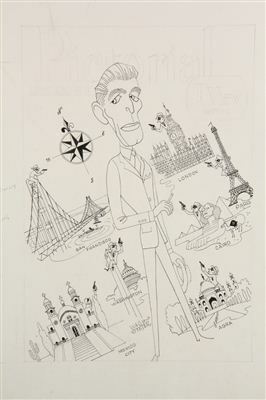 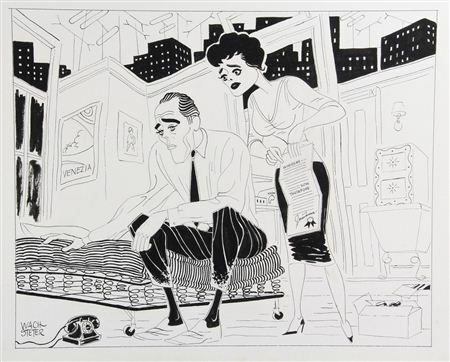 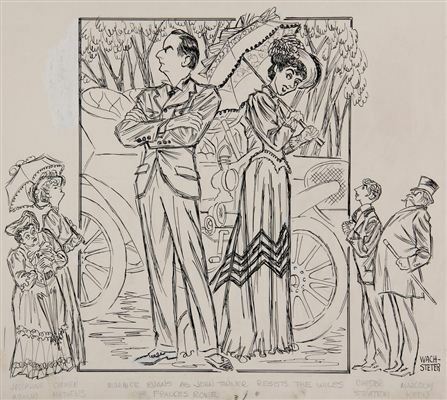 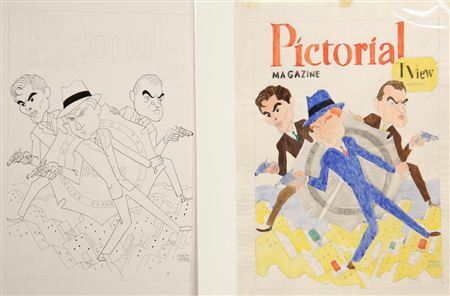 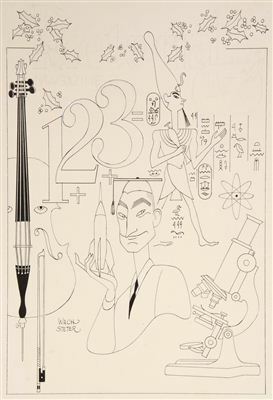 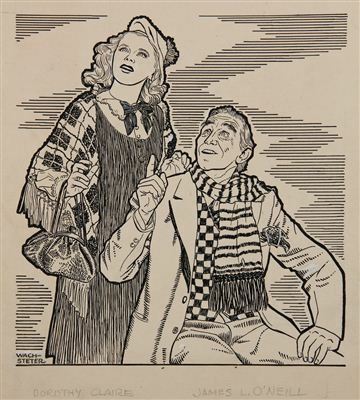 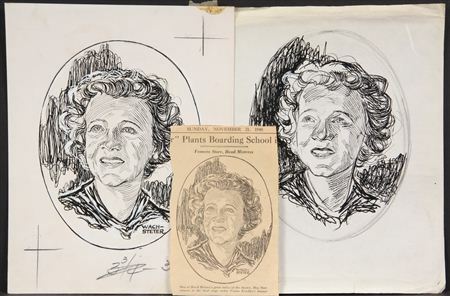 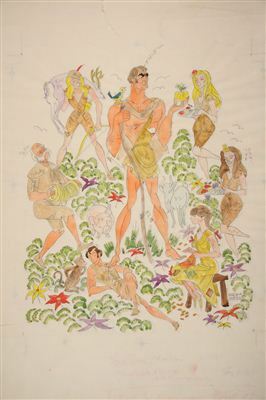 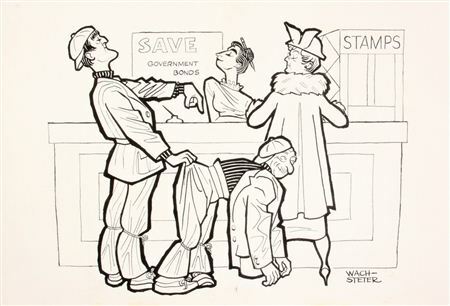 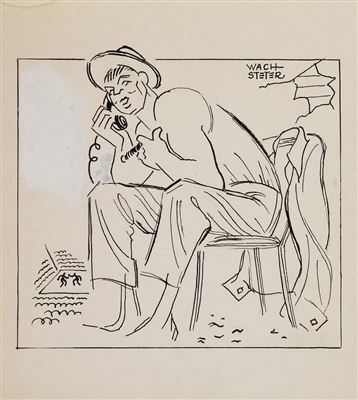 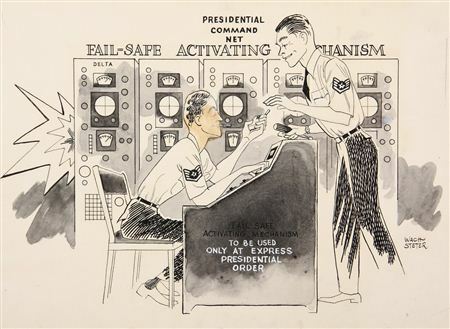 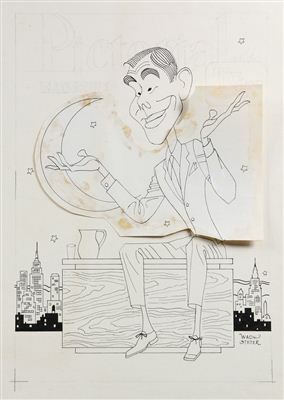 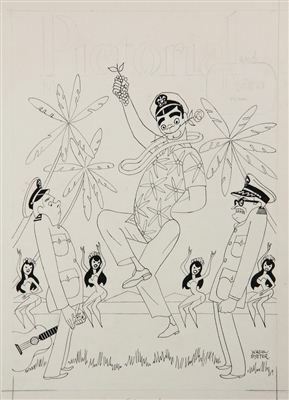 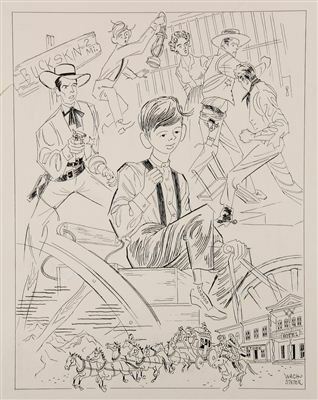 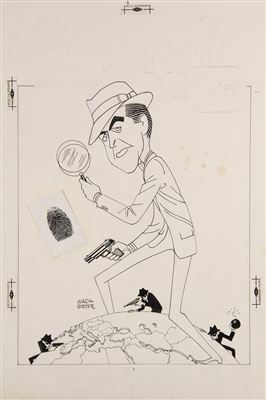 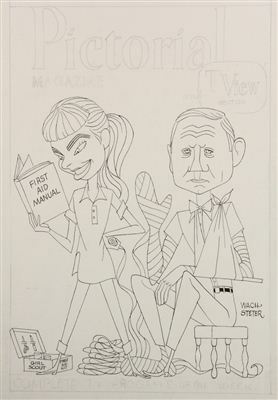 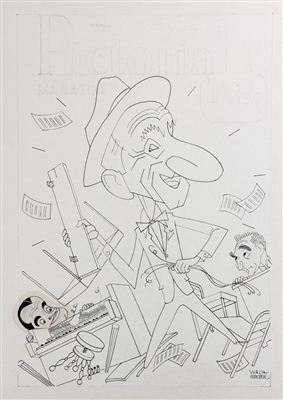 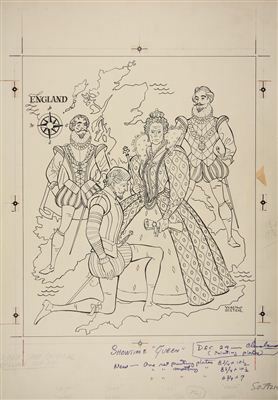 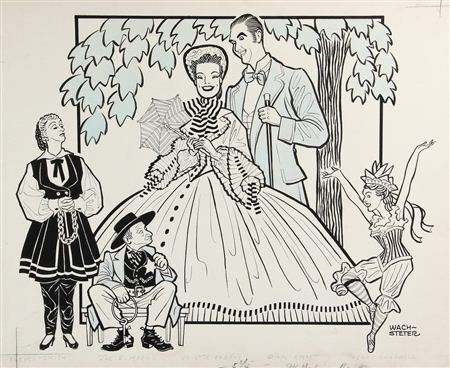 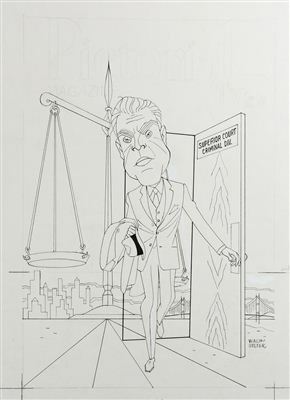 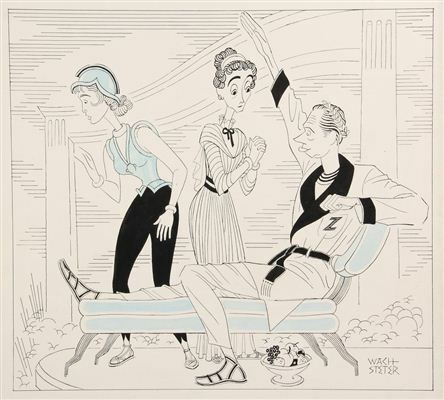 Wachsteter's humorous and elegant line drawings were seen displayed in almost every American living room through the syndicated TV View guide, and prominently placed in most major newspapers, including the Times, Herald Tribune, New York Journal American, and New York World-Telegram. 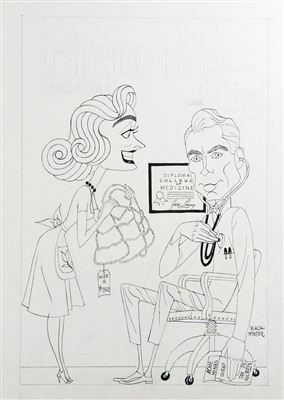 A gradual loss of his vision ended his career prematurely in the late 1960s. 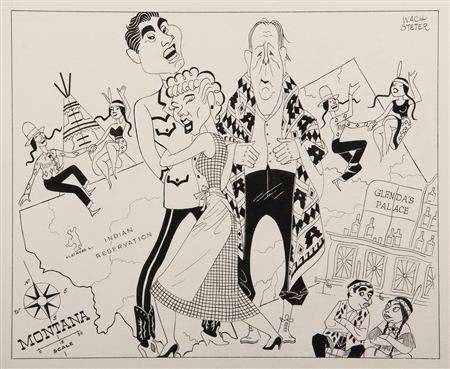 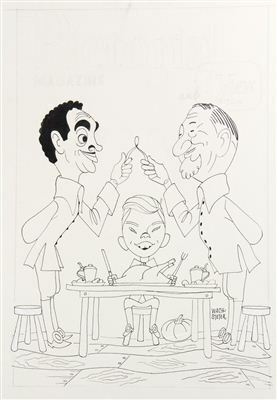 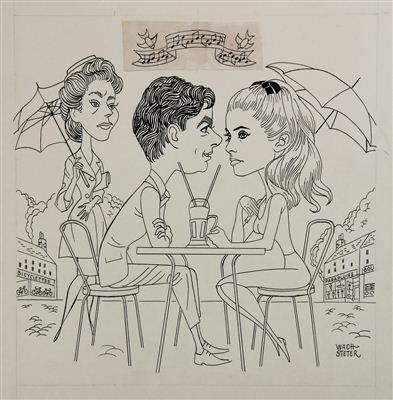 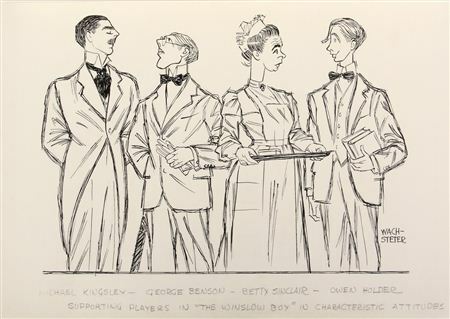 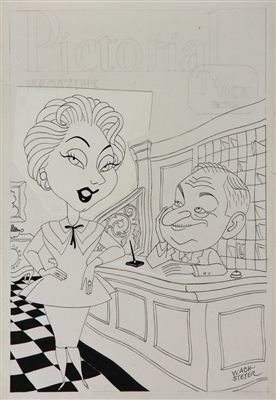 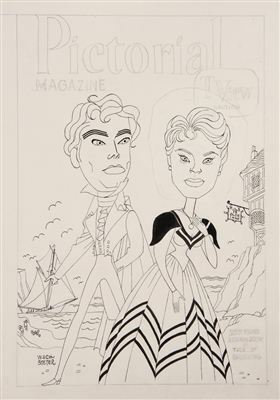 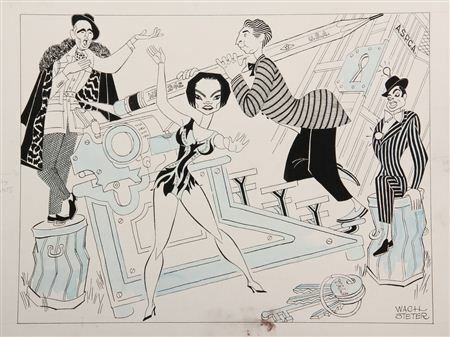 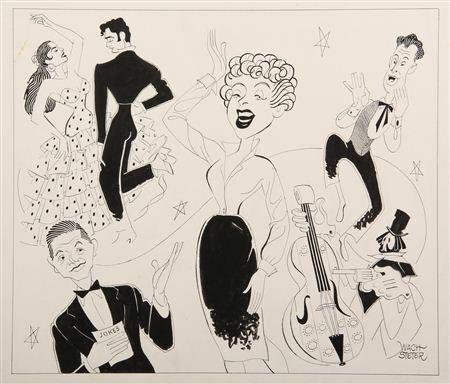 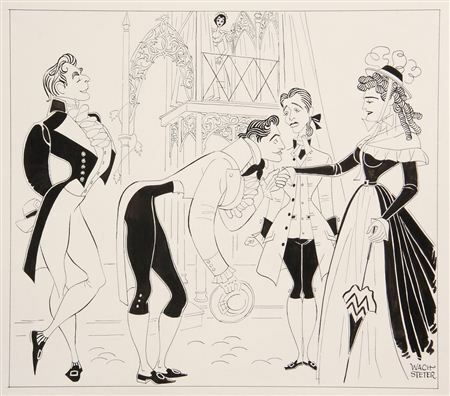 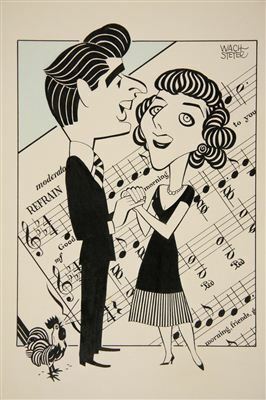 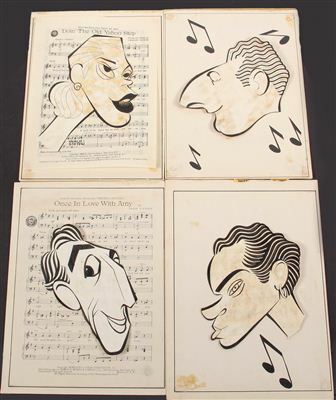 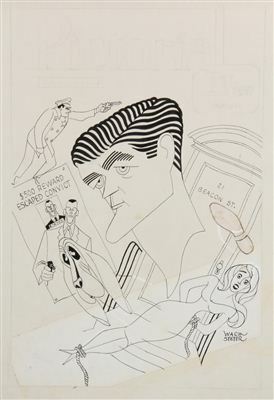 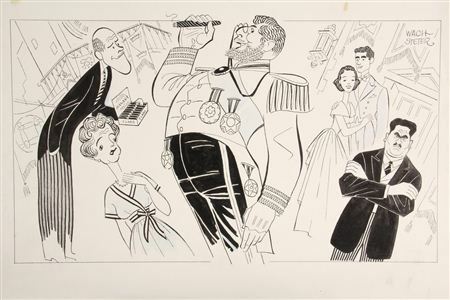 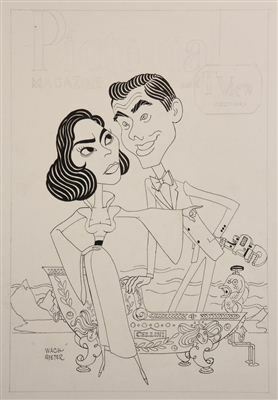 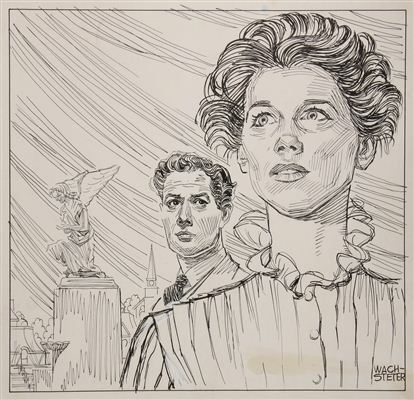 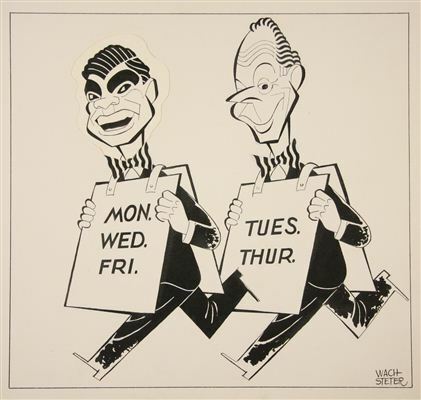 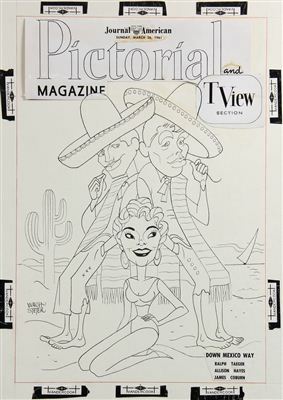 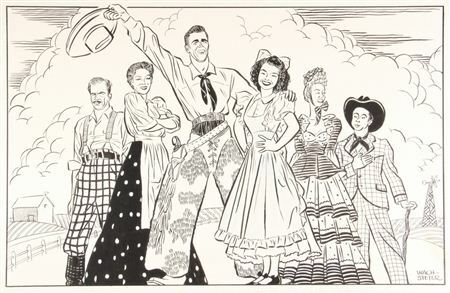 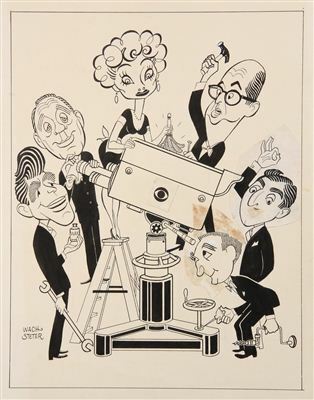 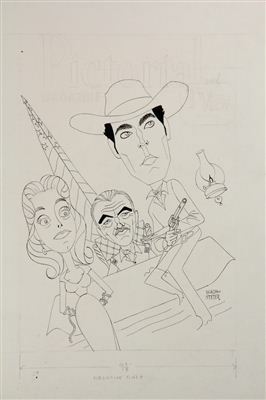 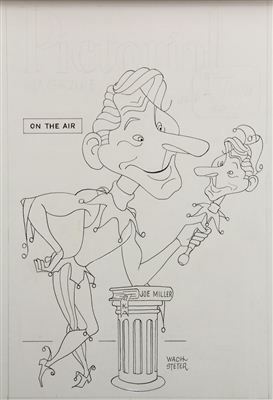 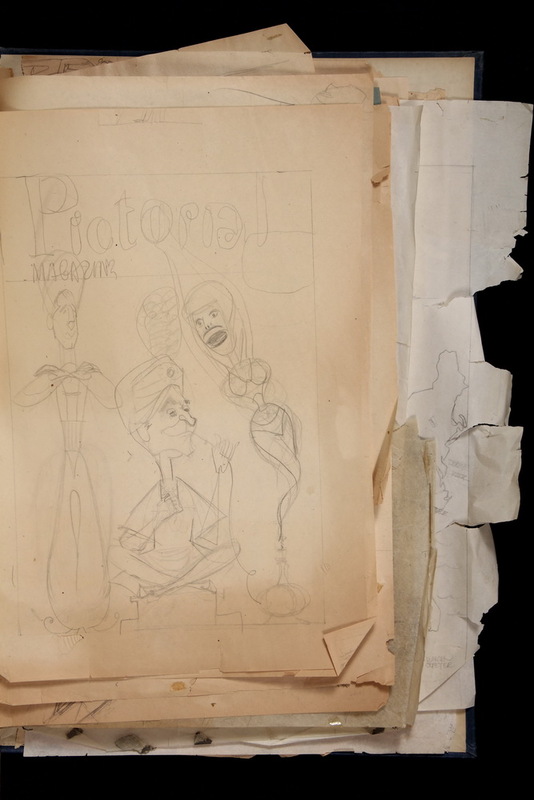 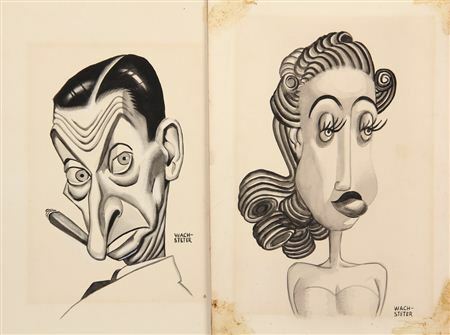 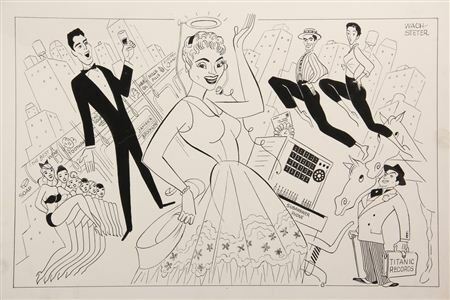 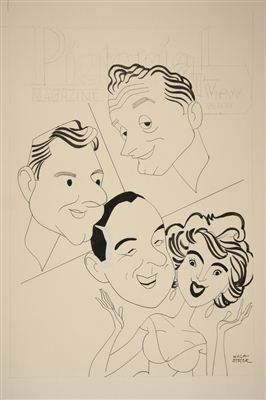 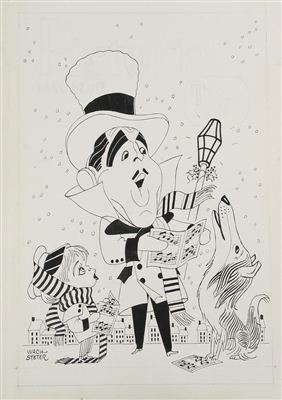 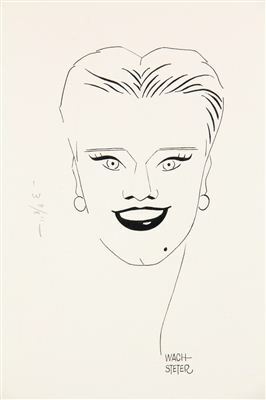 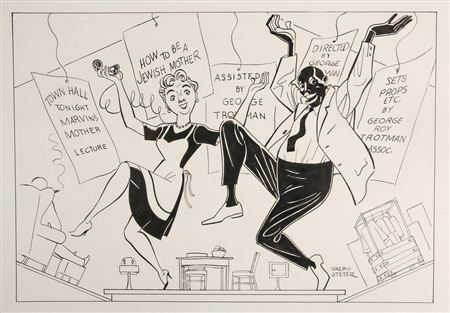 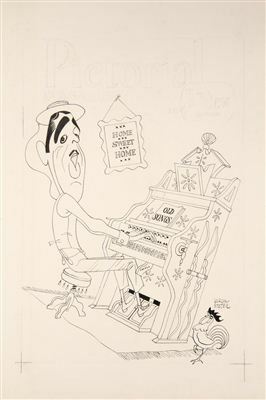 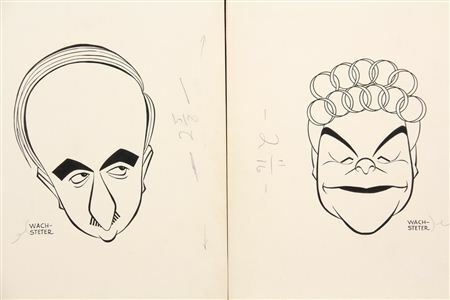 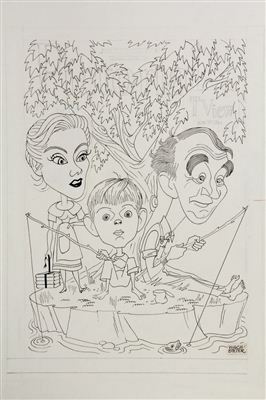 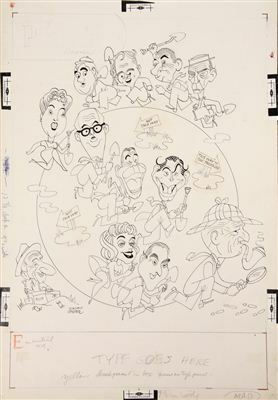 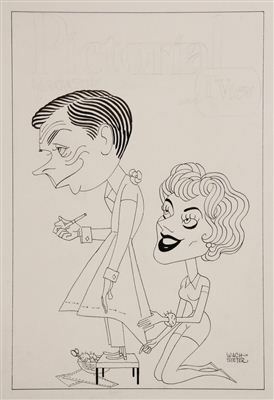 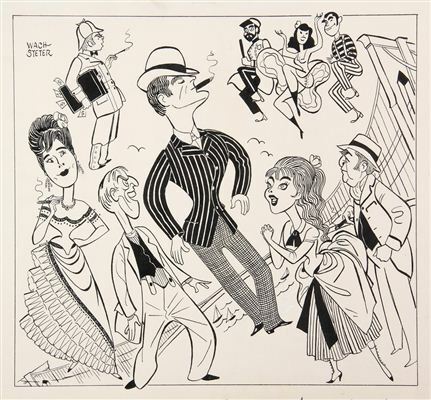 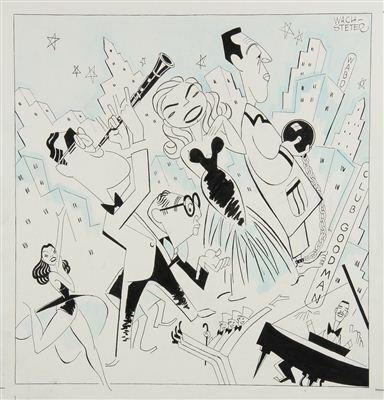 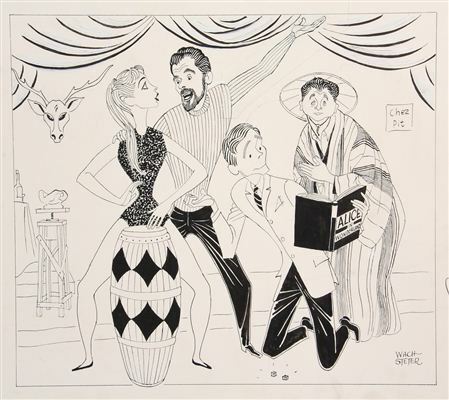 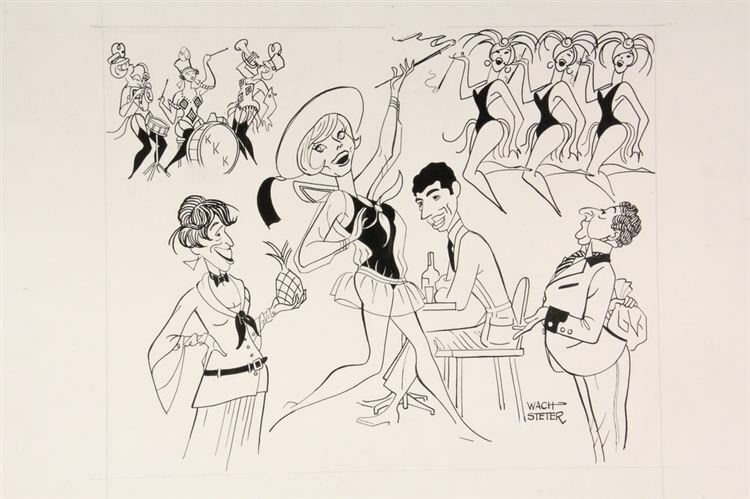 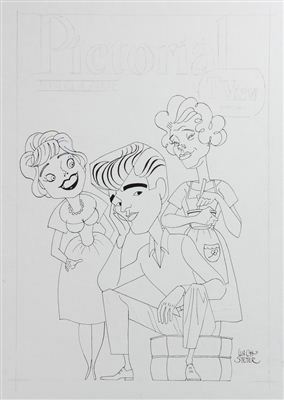 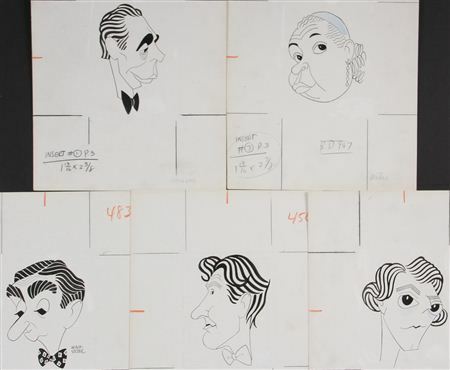 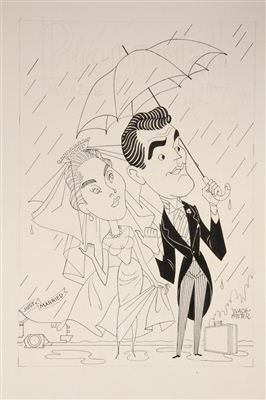 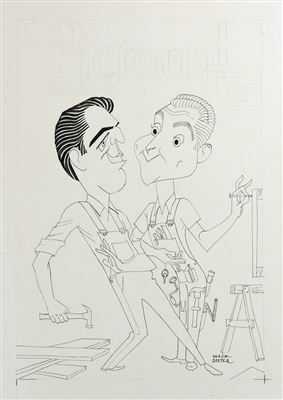 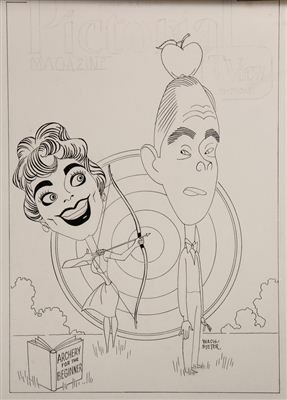 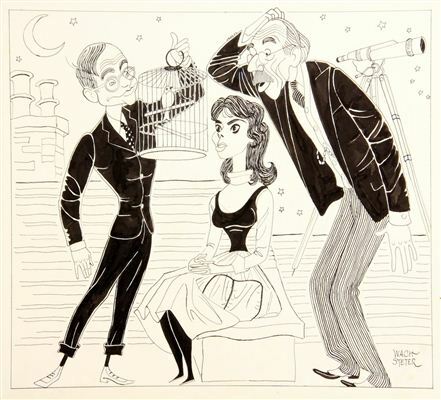 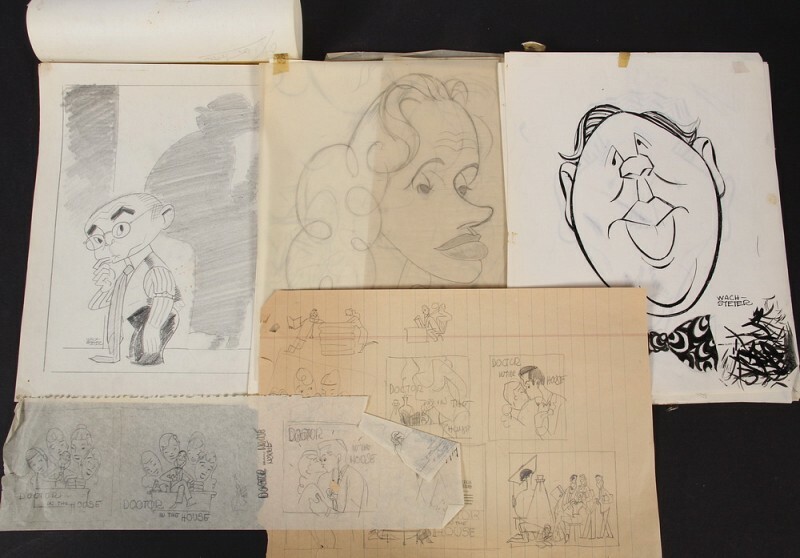 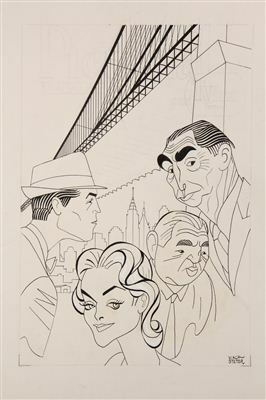 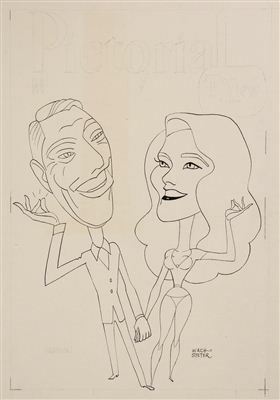 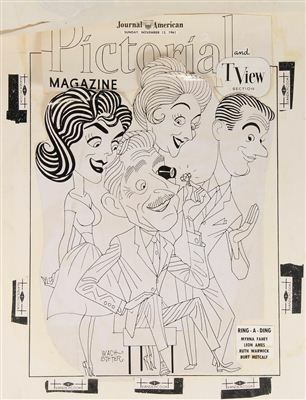 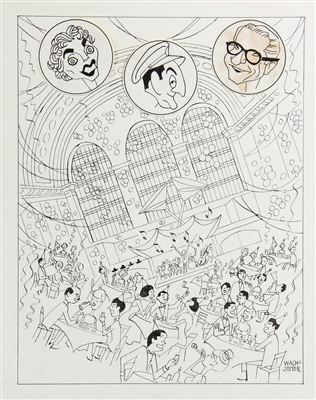 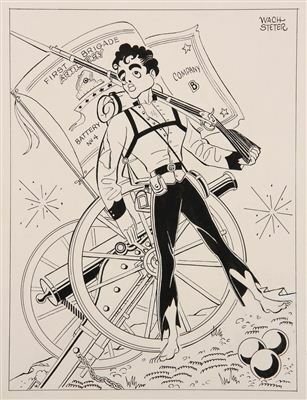 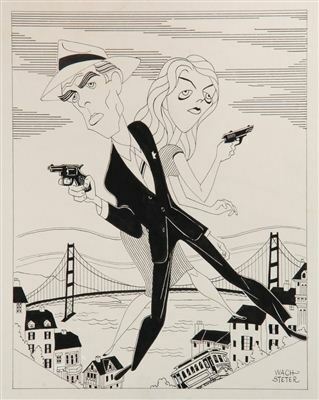 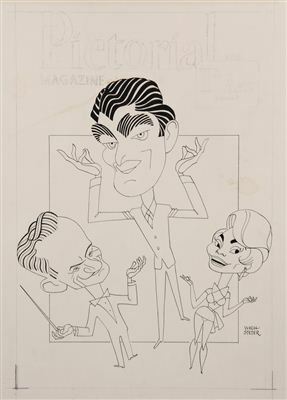 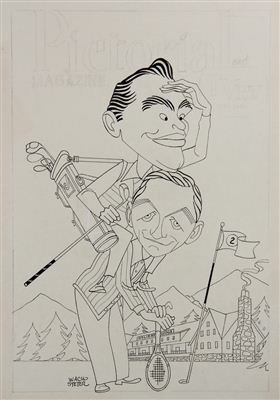 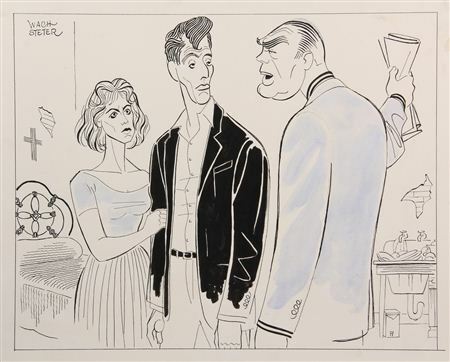 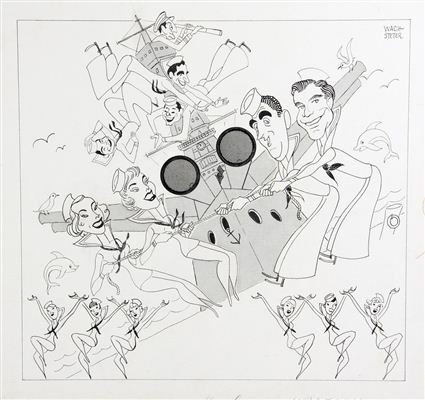 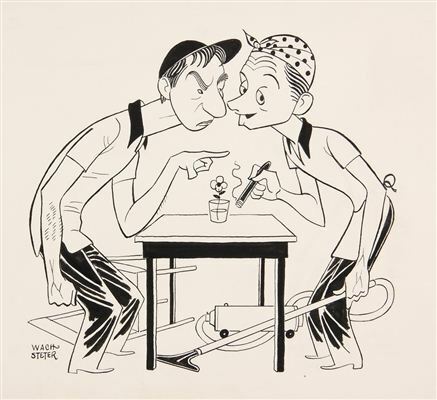 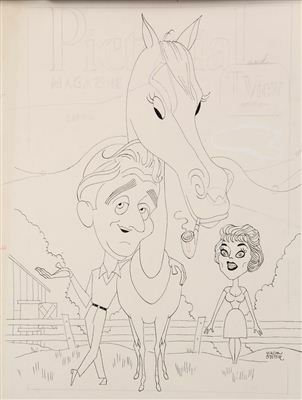 Caricature for Judy Holliday and Dean Martin in "Bells are Ringing"